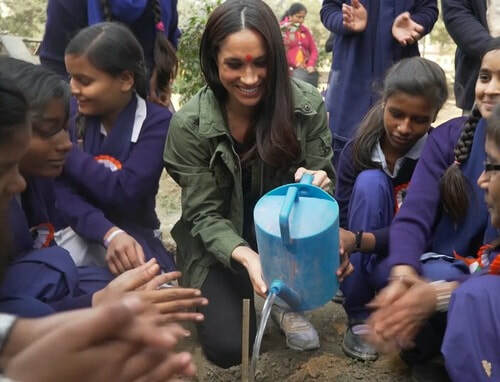 World Vision has released a never-before-seen video of Meghan Markle's humanitarian visit to a school in India in January 2017. 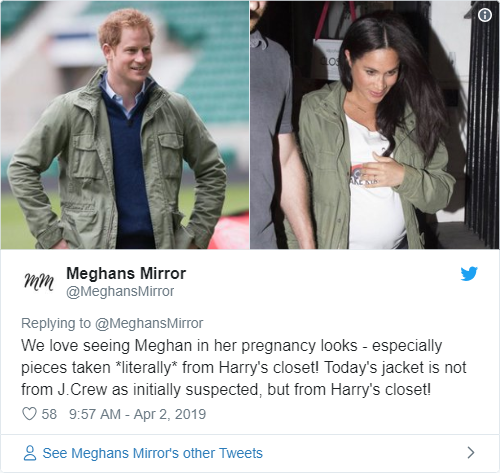 You may recall Meghan was spotted at Mumbai airport following five days in Delhi promoting young women's health and hygiene for World Vision Canada. 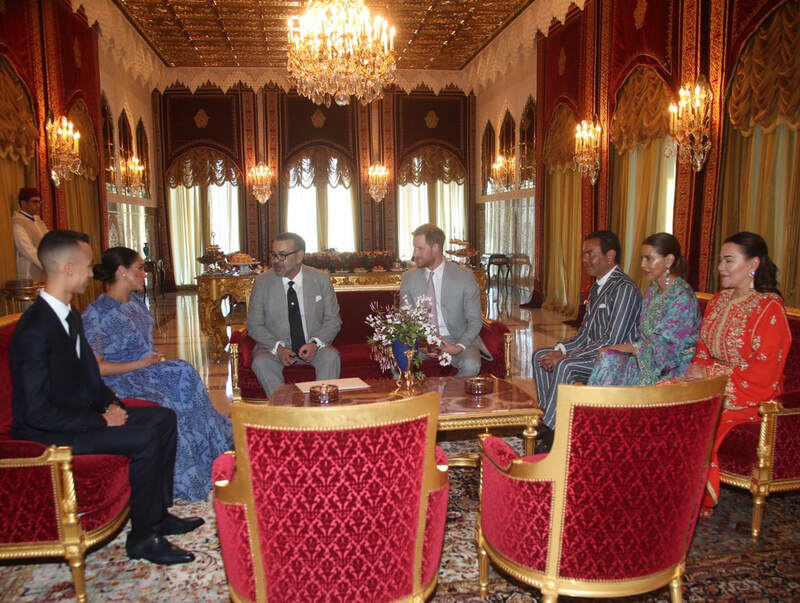 She visited the subcontinent in her role as World Vision Global Ambassador. 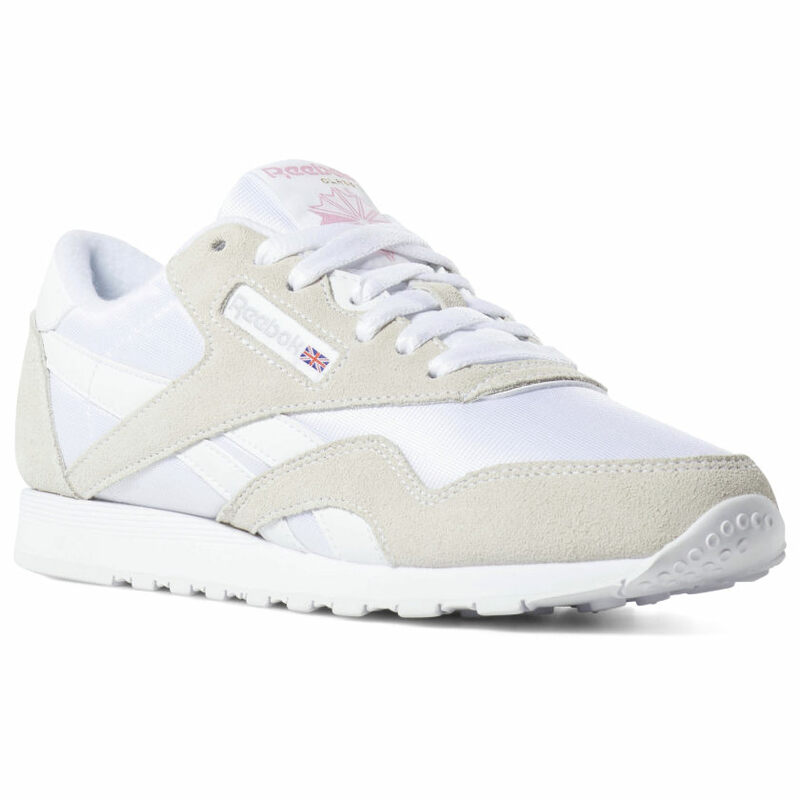 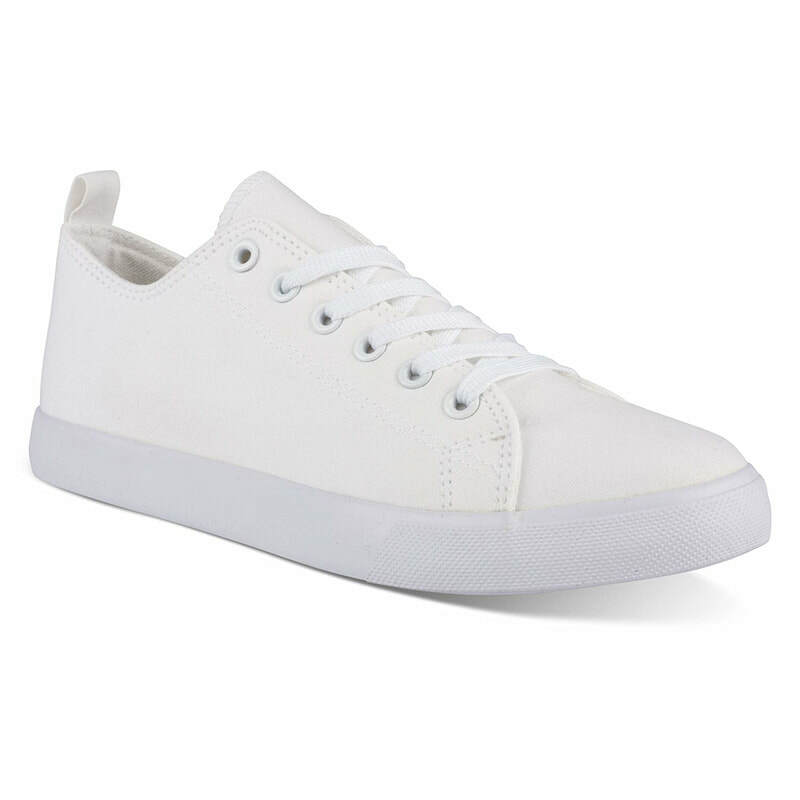 SHOES: Reebok Classic Nylon Sneaker - White/Light Grey. 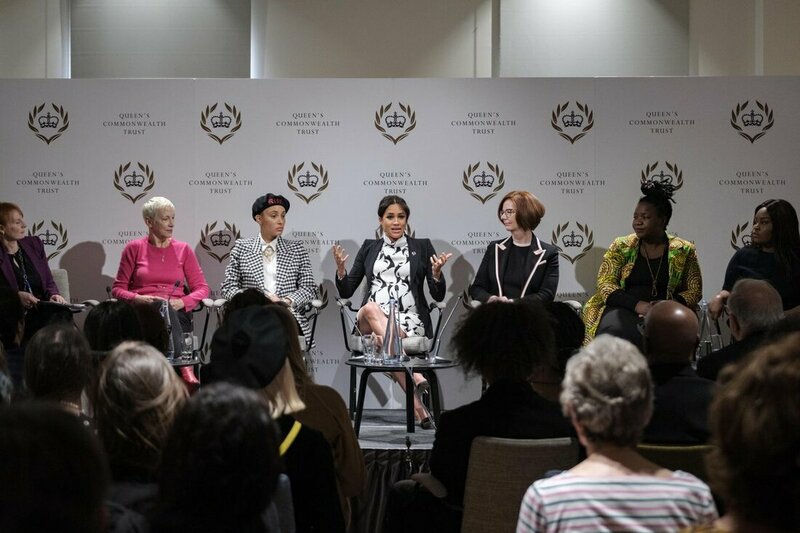 The Duke and Duchess of Sussex started their Commonwealth Day celebrations at Canada House this morning for an event showcasing the diverse community of young Canadians living in London and around the UK. 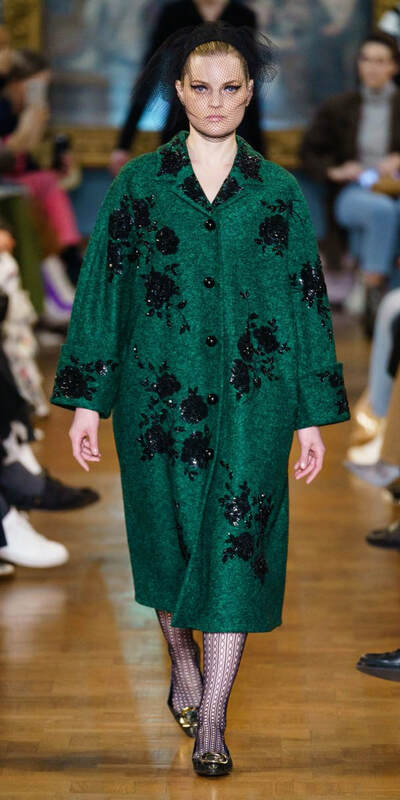 COAT & DRESS: Custom Erdem bottle green coat and empire-waist dress from Autumn/Winter 2019 collection. 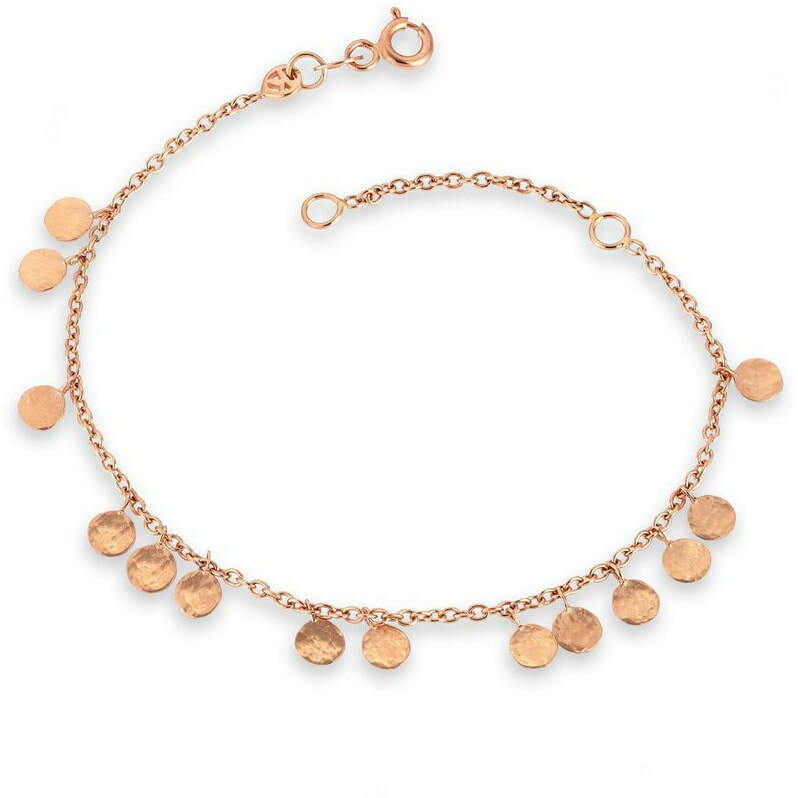 ID by @Japanese_Ginger. 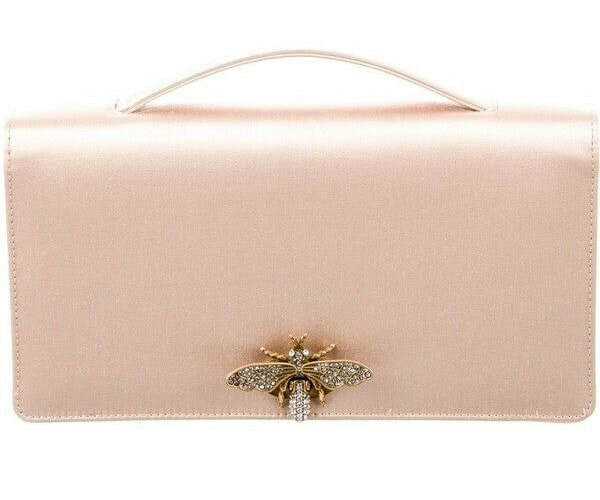 A closer look at the appliqué. 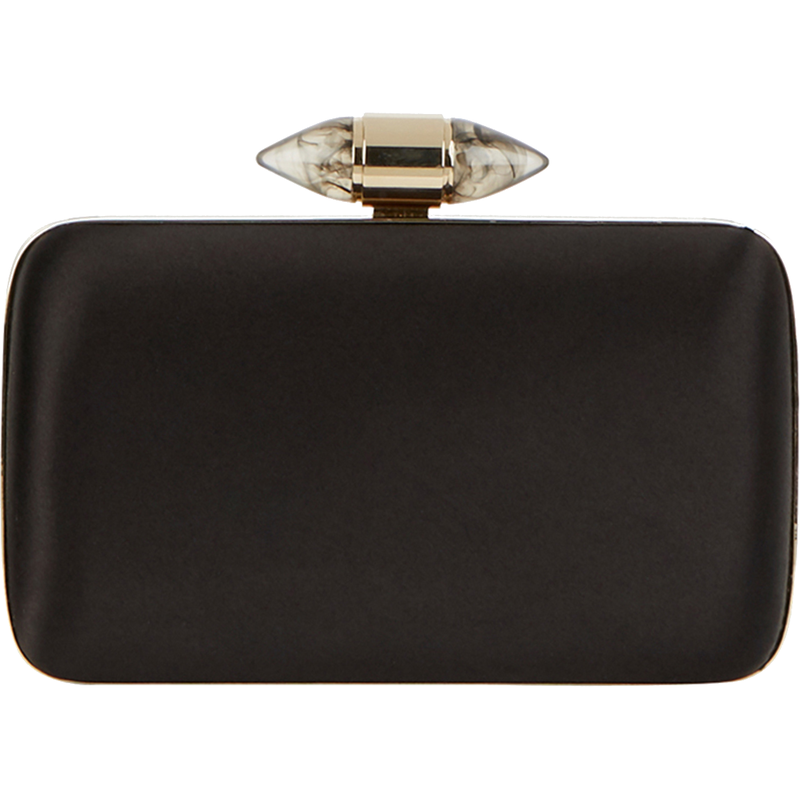 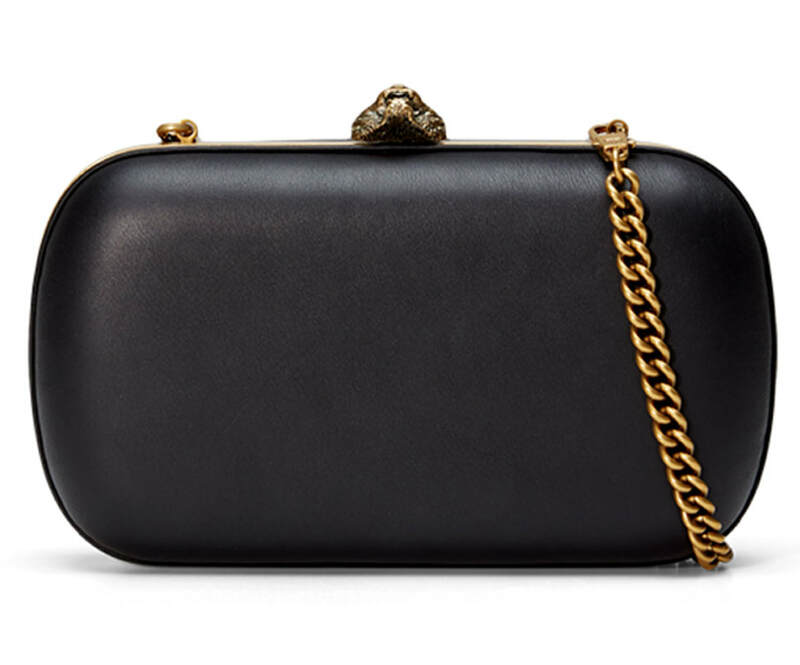 HANDBAG: Givenchy Black Satin Clutch With Jewelry Clasp (repeat). 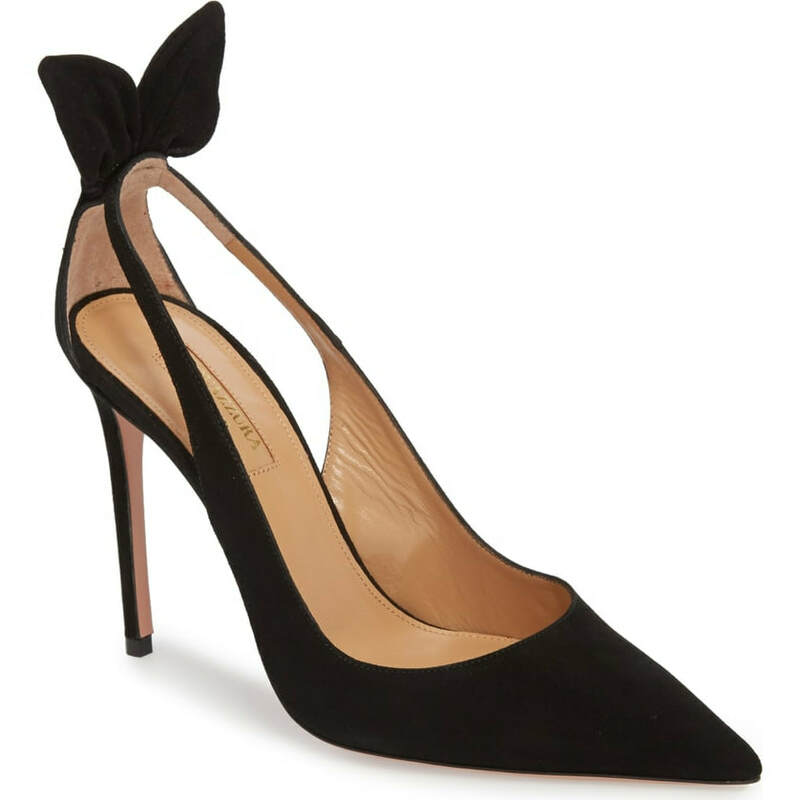 SHOES: Aquazzura 'Deneuve' Black Suede Bow Pump (repeat). 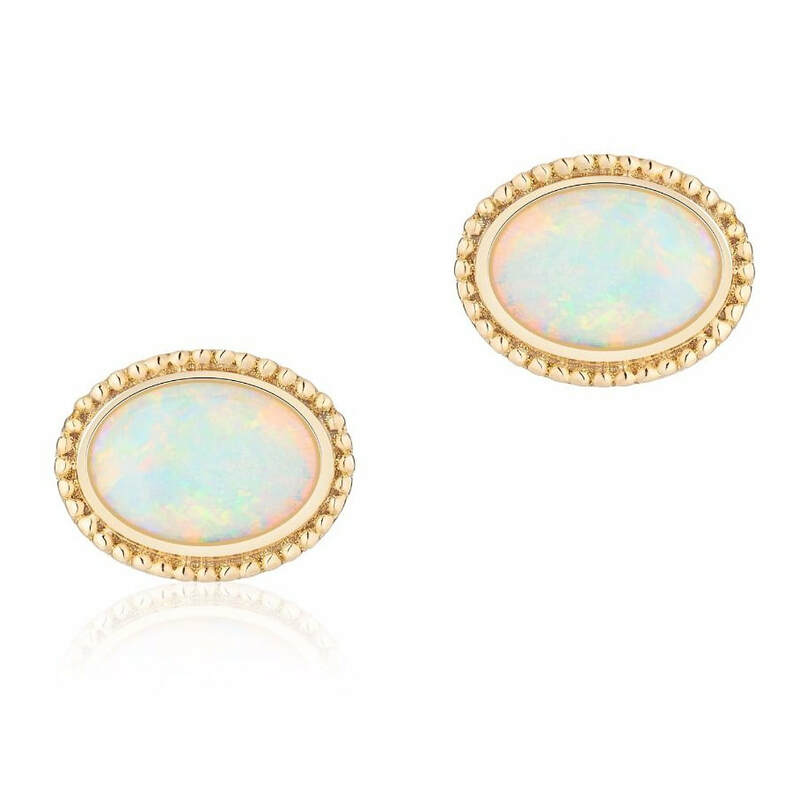 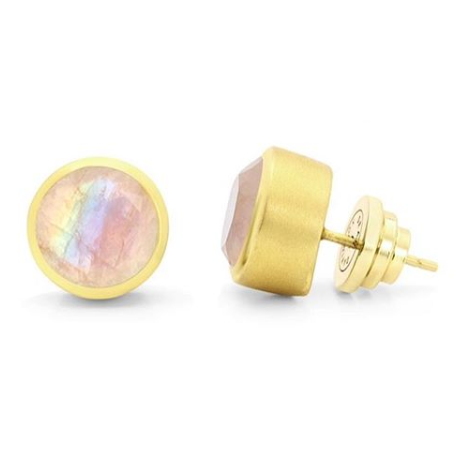 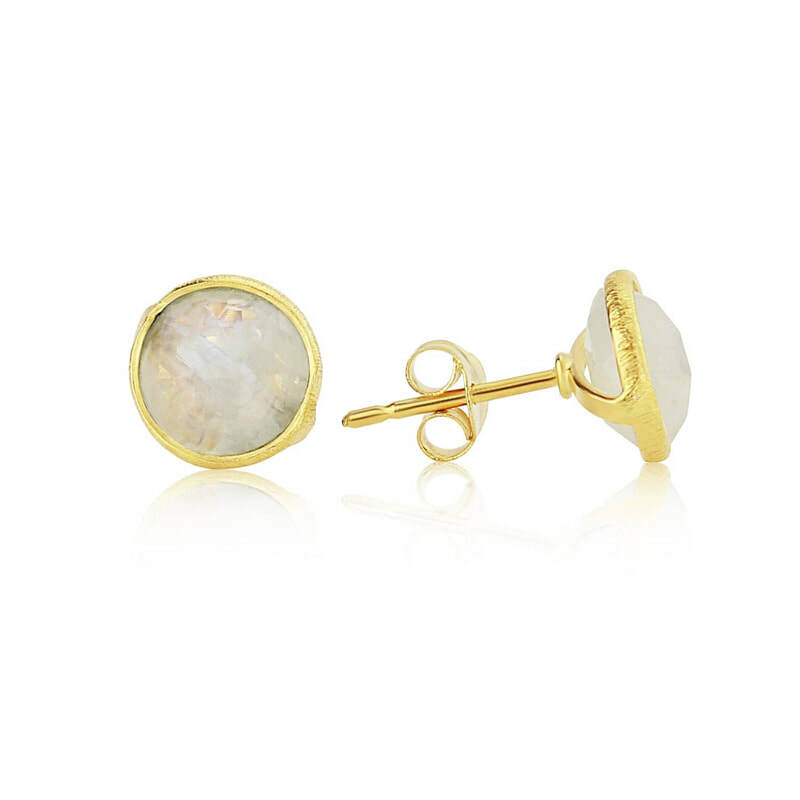 ​EARRINGS: Birks Yellow Gold and Opal Earrings (repeat). 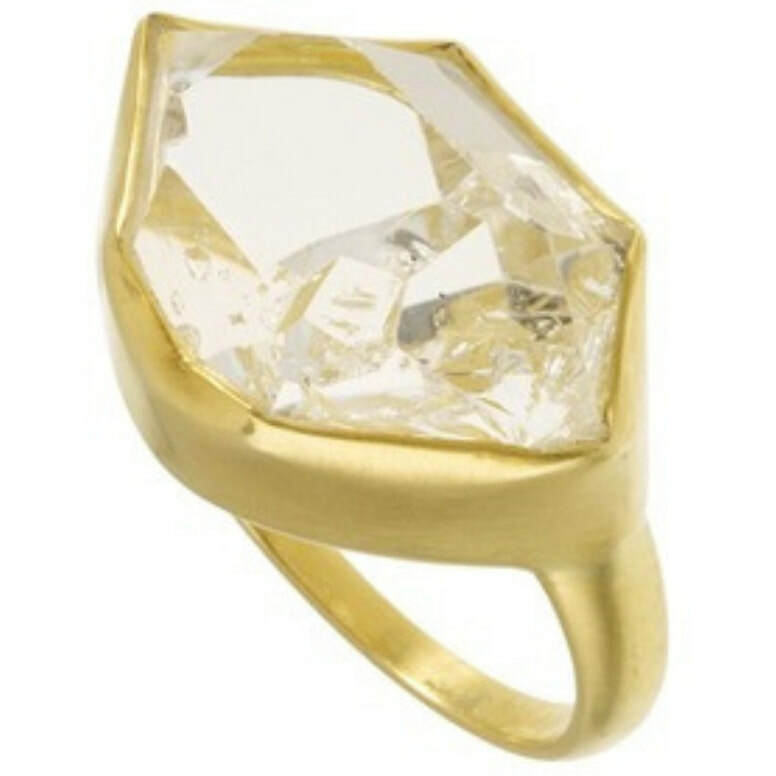 ​RINGS: There was a notable absence of Meghan's engagement ring today! 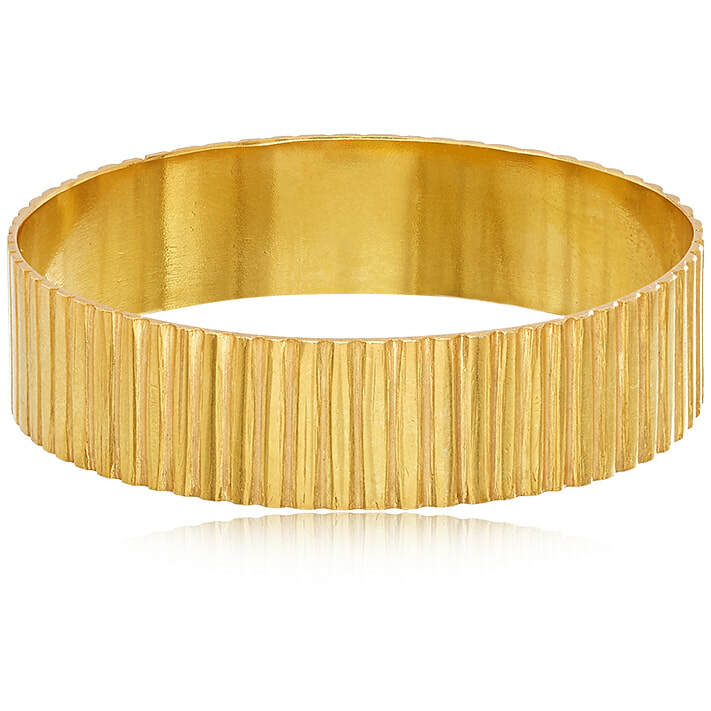 She only wore her wedding band and Catbird Threadbare Yellow Gold Ring on her thumb and right index finger. 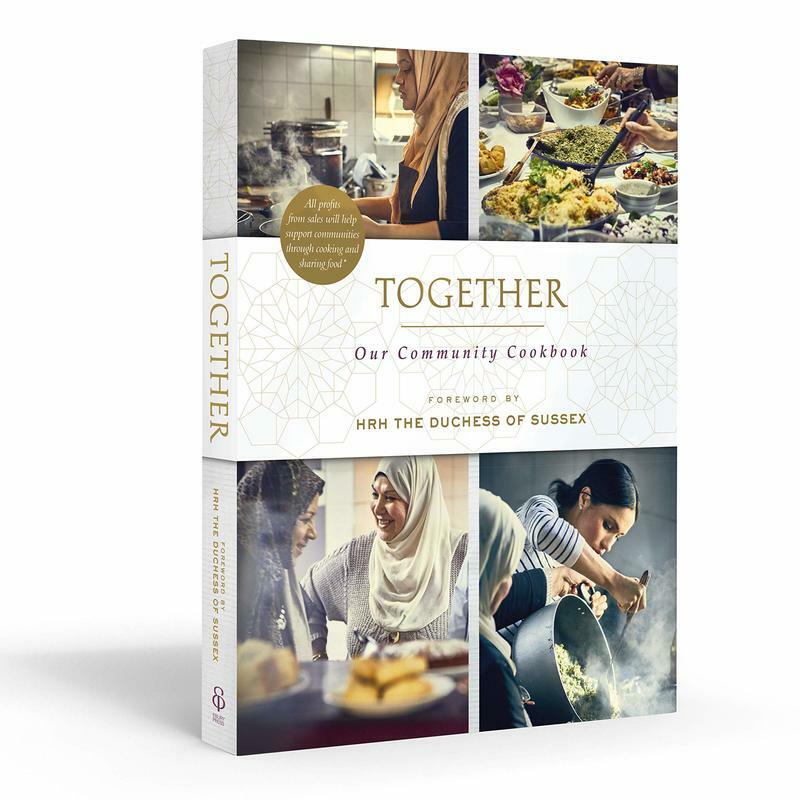 The Duke and Duchess of Sussex joined The Queen and senior members of the Royal Family at Westminster Abbey this afternoon for a multi-faith service to observe Commonwealth Day. 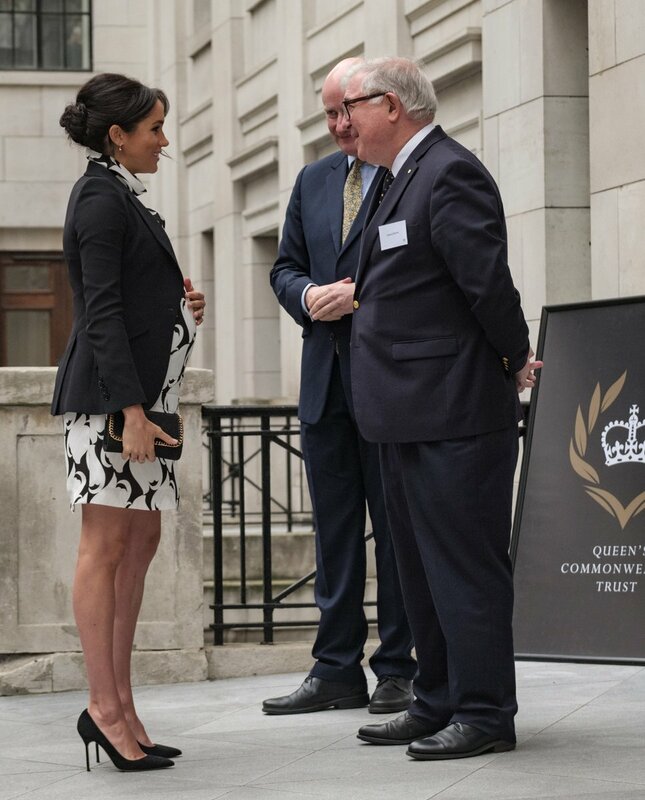 Earlier this morning, Meghan and Harry marked the day with a visit to Canada House. 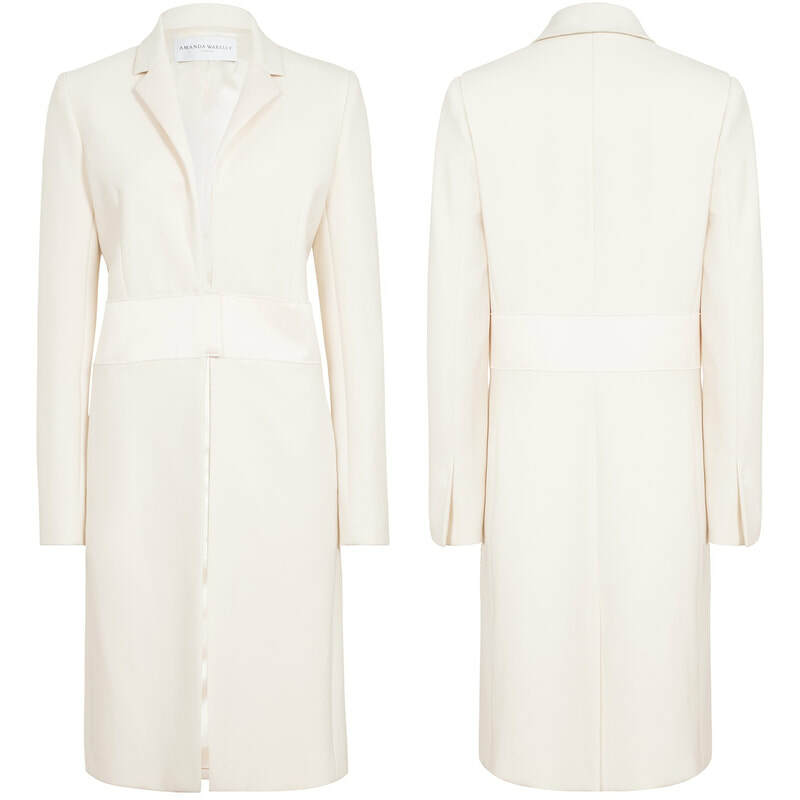 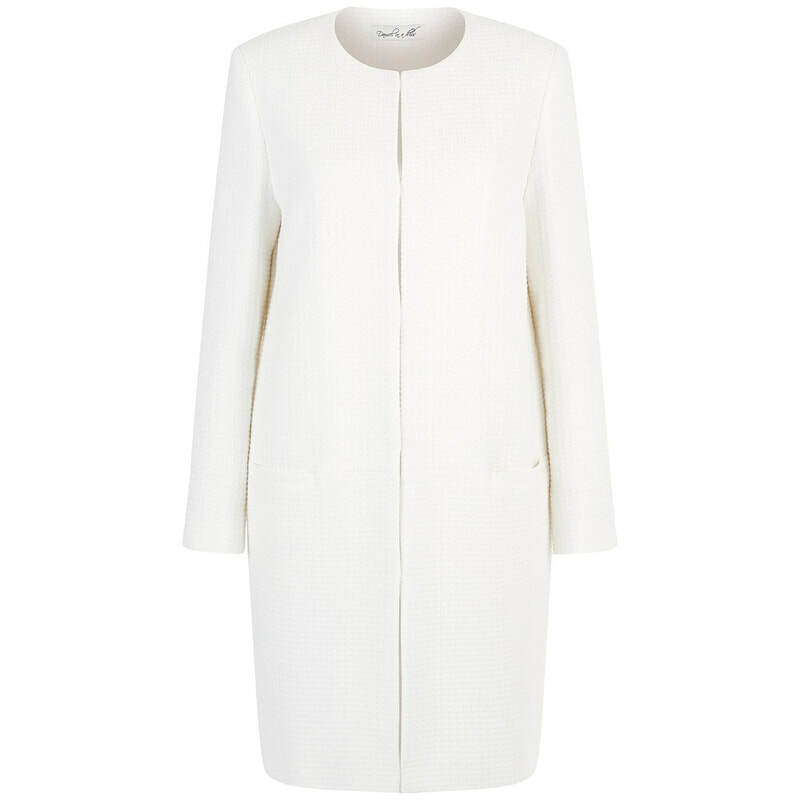 COAT: Victoria Beckham white textured coat from Autumn/Winter 2019 collection. 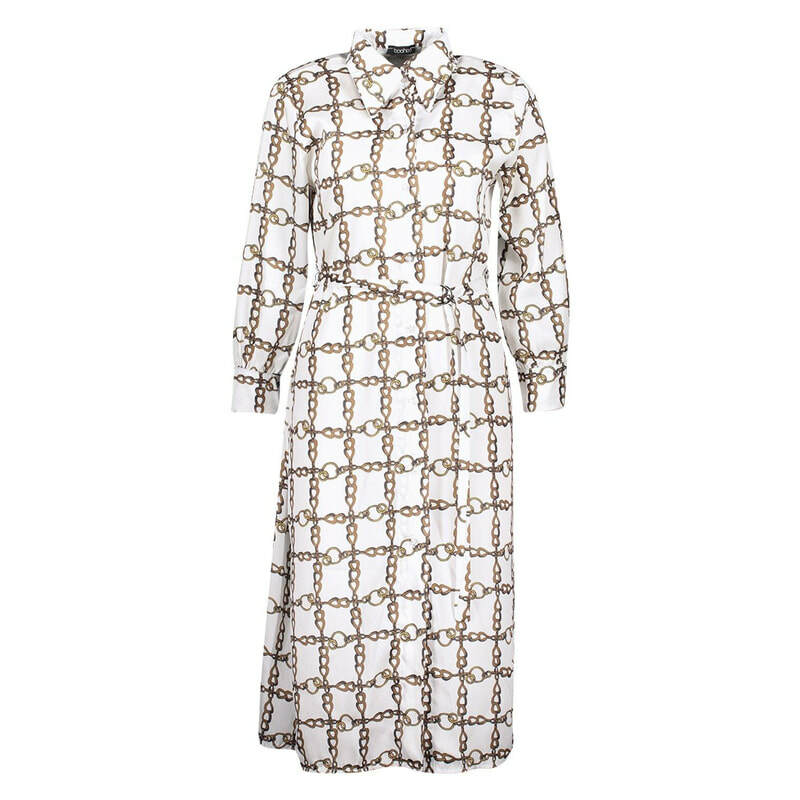 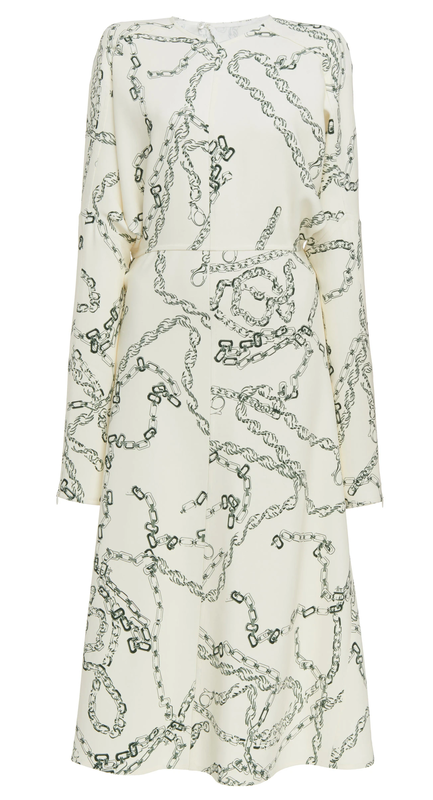 ​DRESS: Victoria Beckham chain-link print dress based on Autumn/Winter 2019 collection piece (US$1,850). 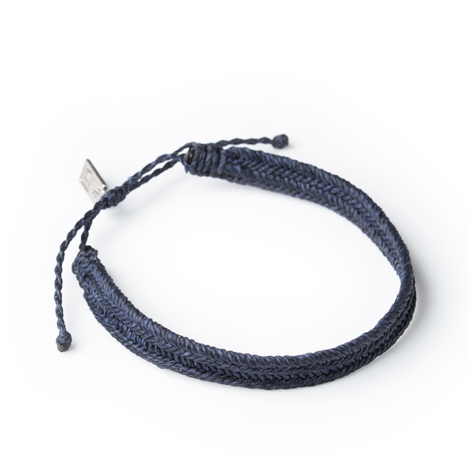 ID by @Japanese_Ginger. 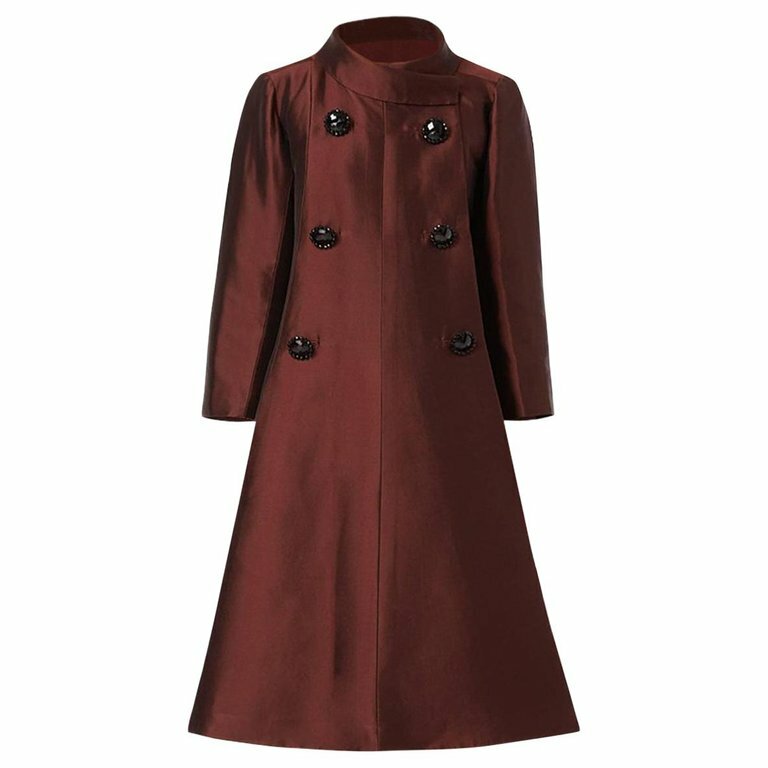 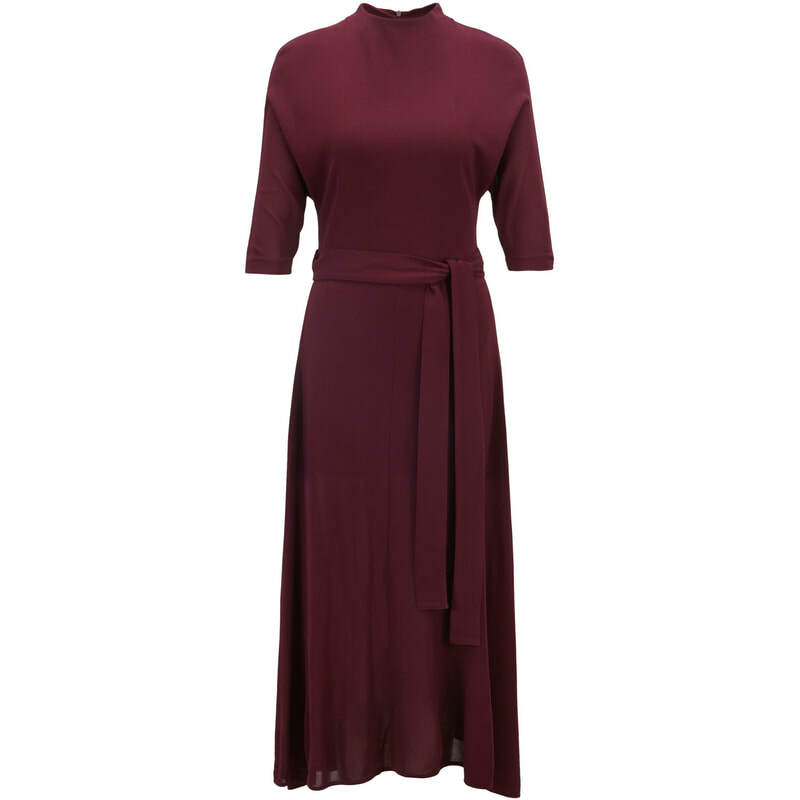 The lining of the coat matches the dress. 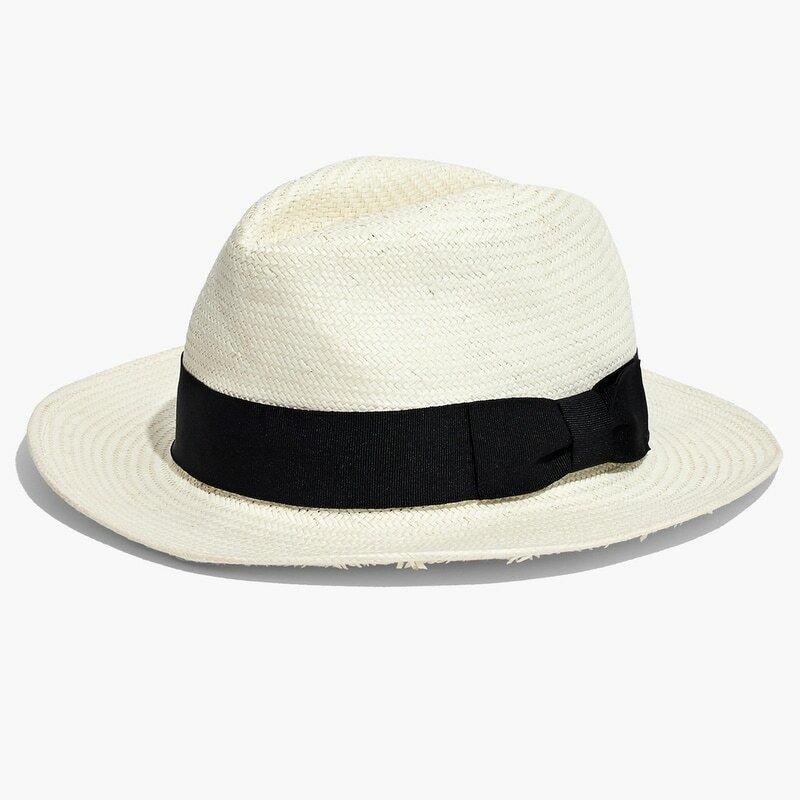 ​HAT: Cream pillbox hat (unidentified). 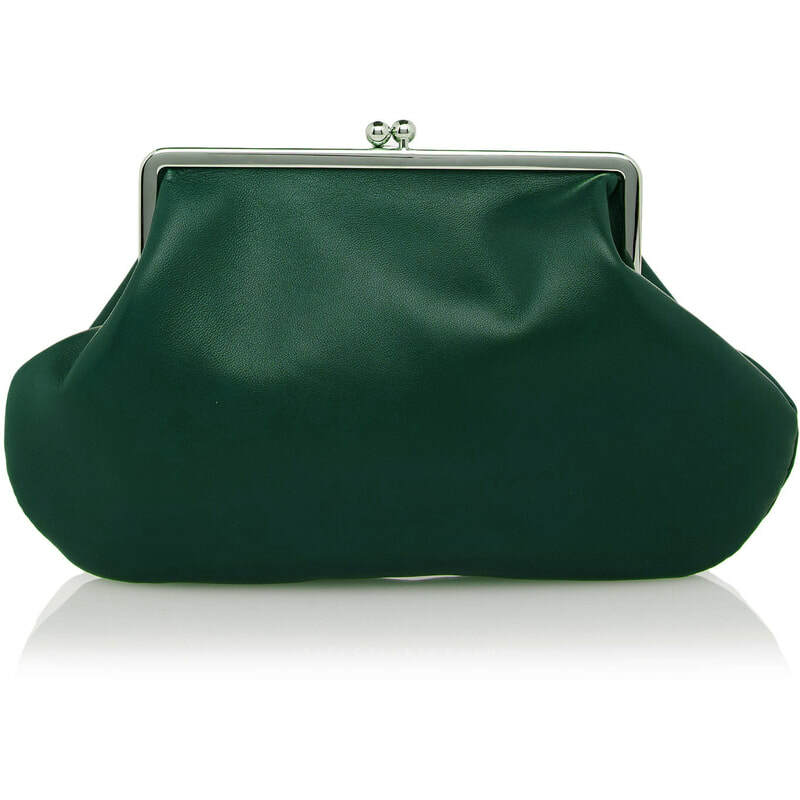 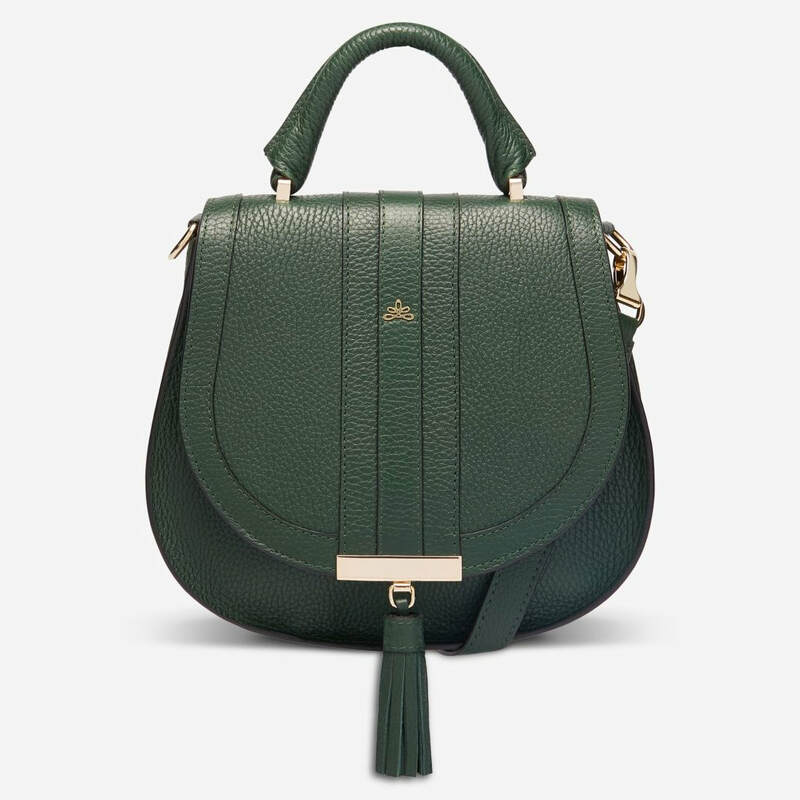 HANDBAG: Victoria Beckham Dark Green Satin Clutch (custom) based on 'Pocket' clutch from Fall 2019 collection (US$490). 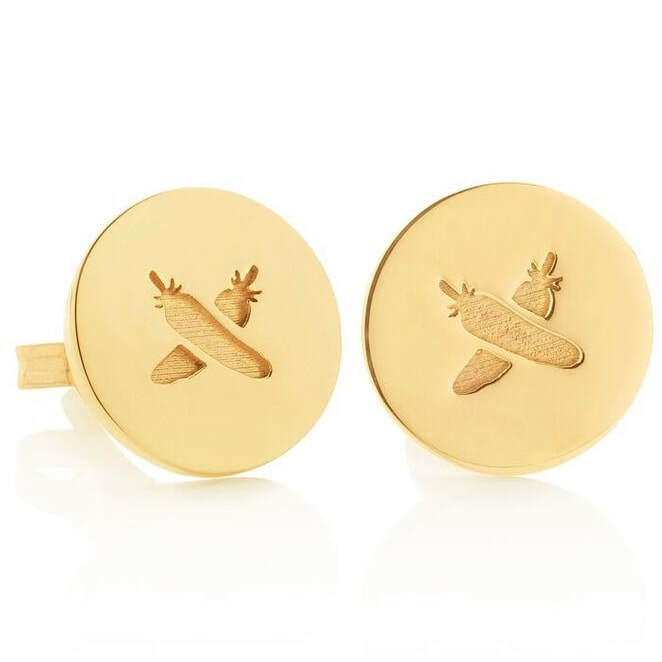 ID by @Japanese_Ginger. 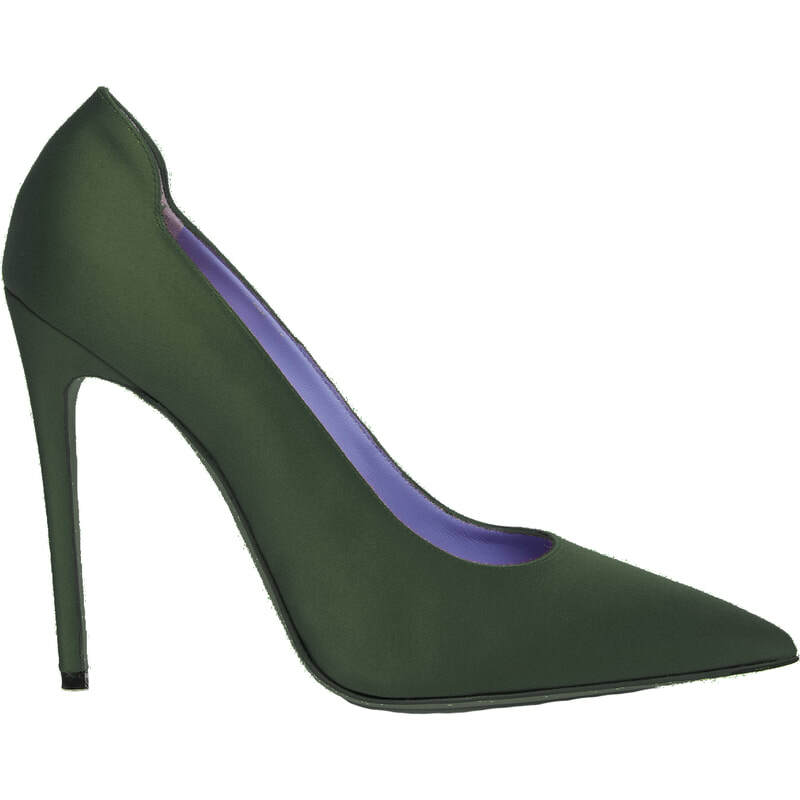 SHOES: Victoria Beckham Green Satin Pumps (custom) based on style from A/W 2019 Collection (US$590). 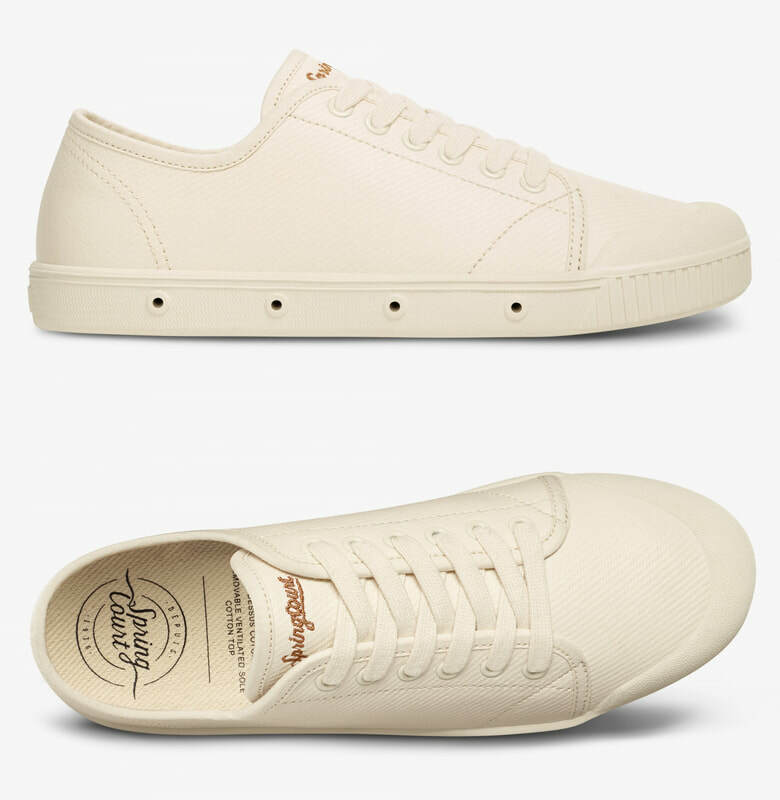 ID by @ufonomore. 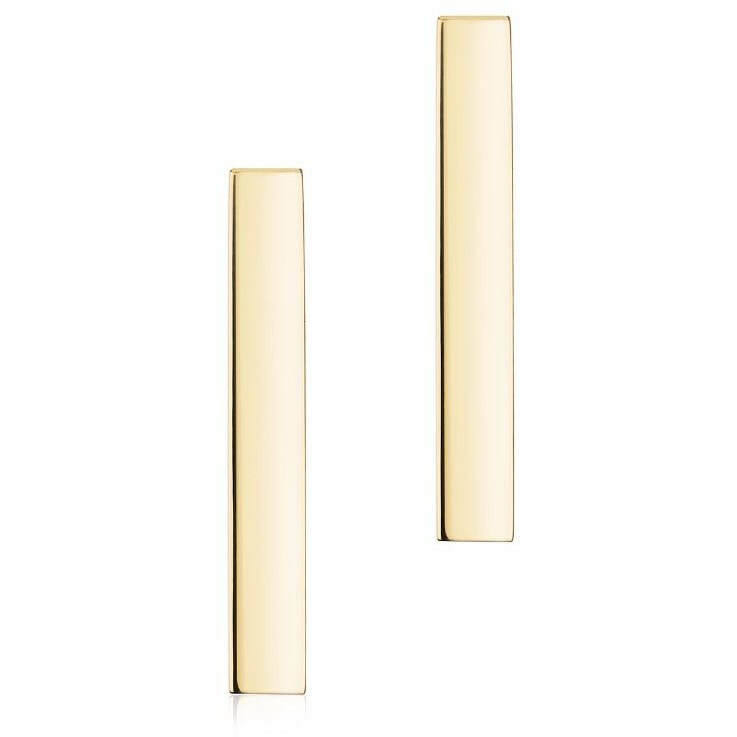 EARRINGS: Dean Davidson ‘Midi Knockout’ Earrings (repeat). 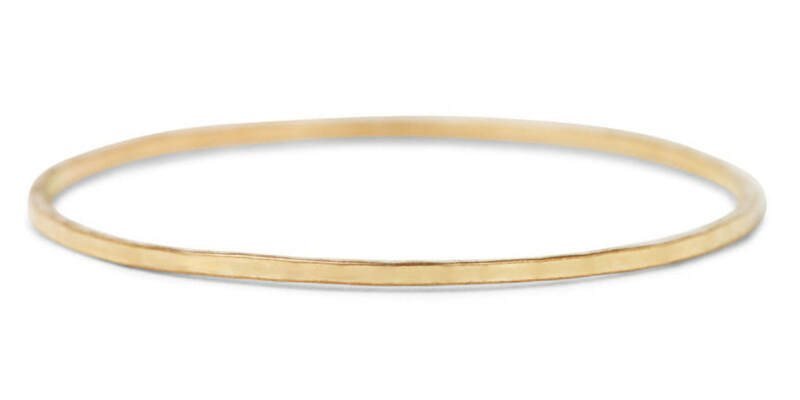 BRACELET: Princess Diana's Diamond Tennis Bracelet. 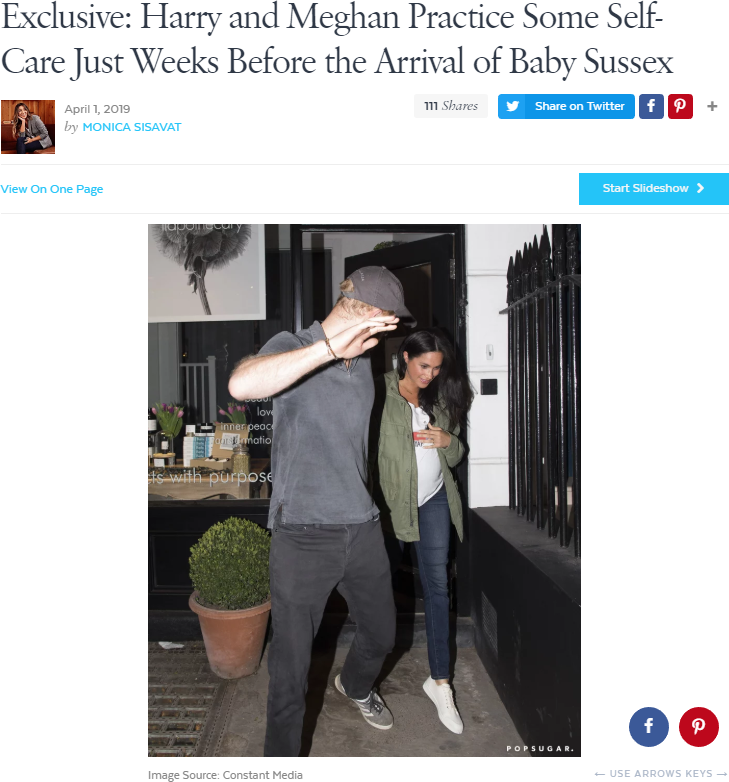 RINGS: Like this morning, Meghan forwent her engagement ring and only wore her gold wedding band. 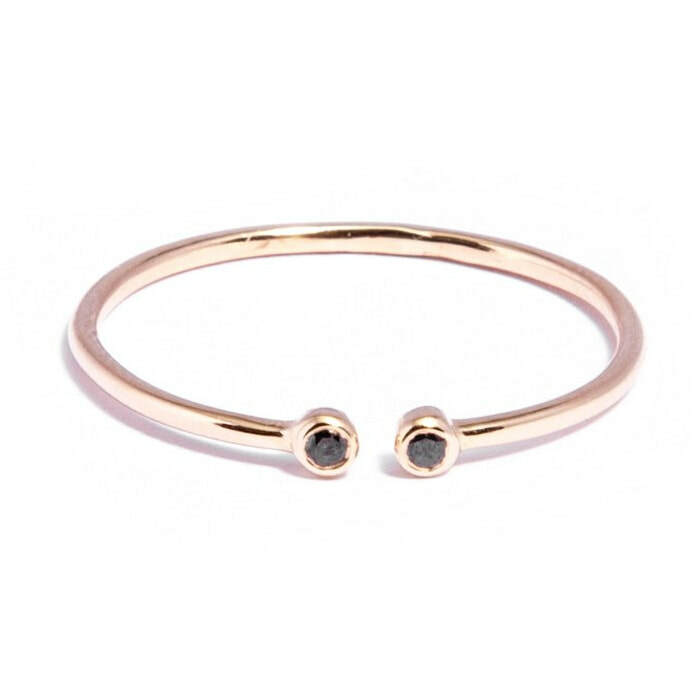 On her right hand she wore her Catbird Threadbare ring, and a new open-end thin band ring which is the i+i Jewellery Black Diamond Gold Pair Ring (£145). 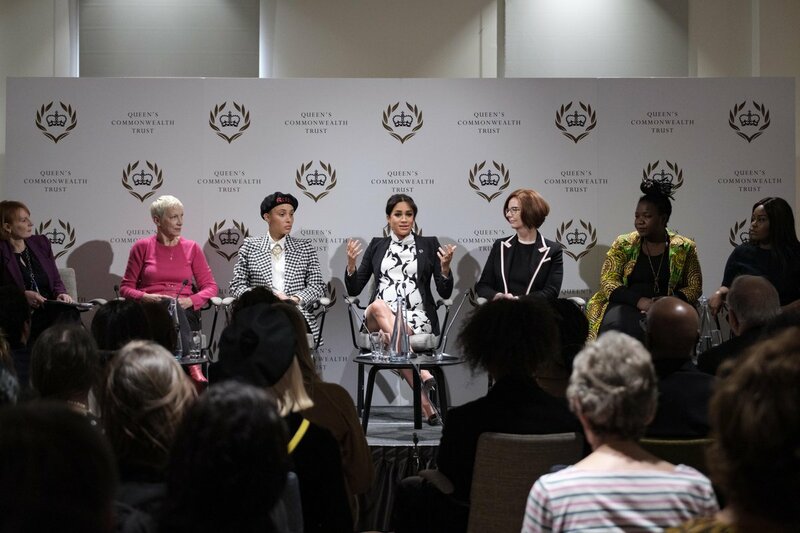 The Duchess of Sussex joined a panel discussion convened by the Queen’s Commonwealth Trust to mark International Women’s Day at King’s College London. 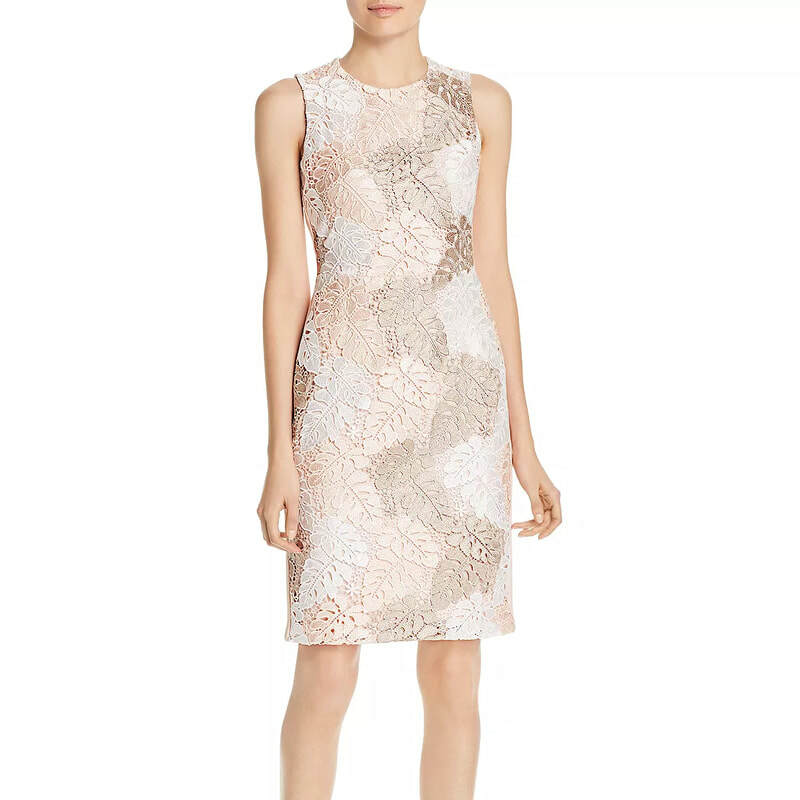 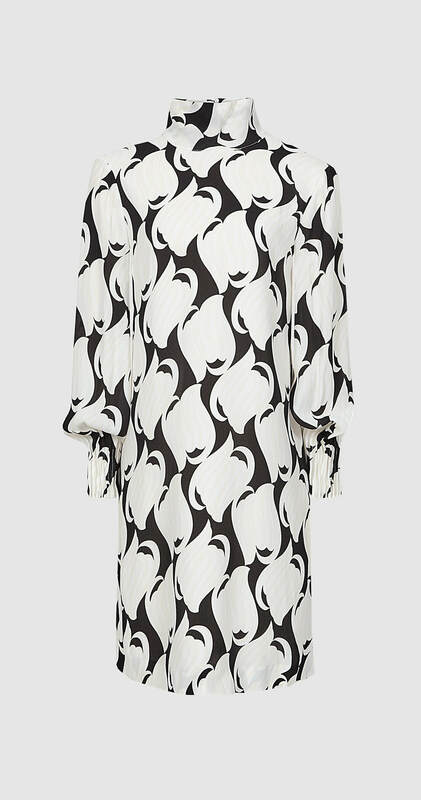 DRESS: REISS 'Azzura' swirl printed shift dress (US$345). 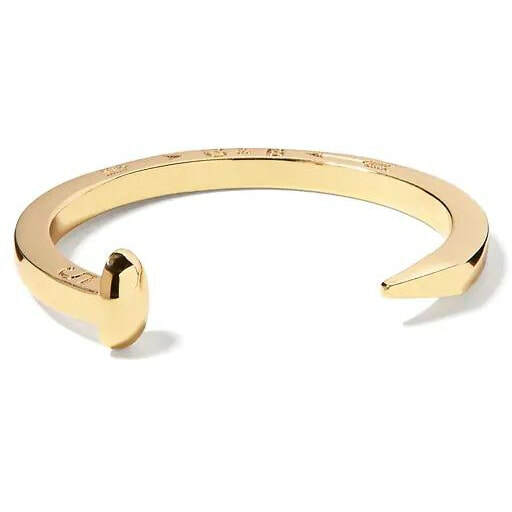 ID by @Japanese_Ginger. 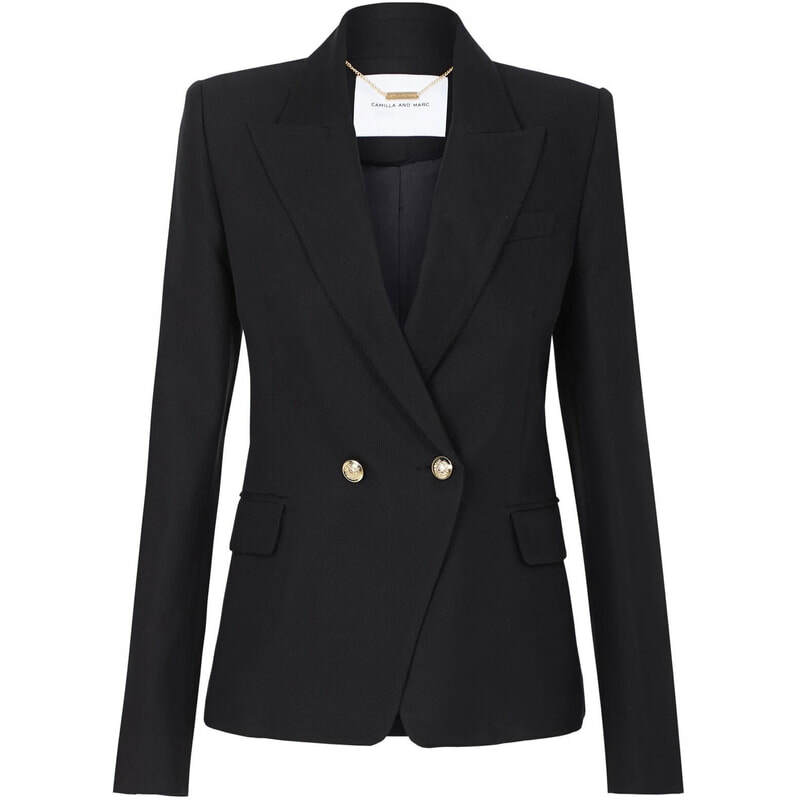 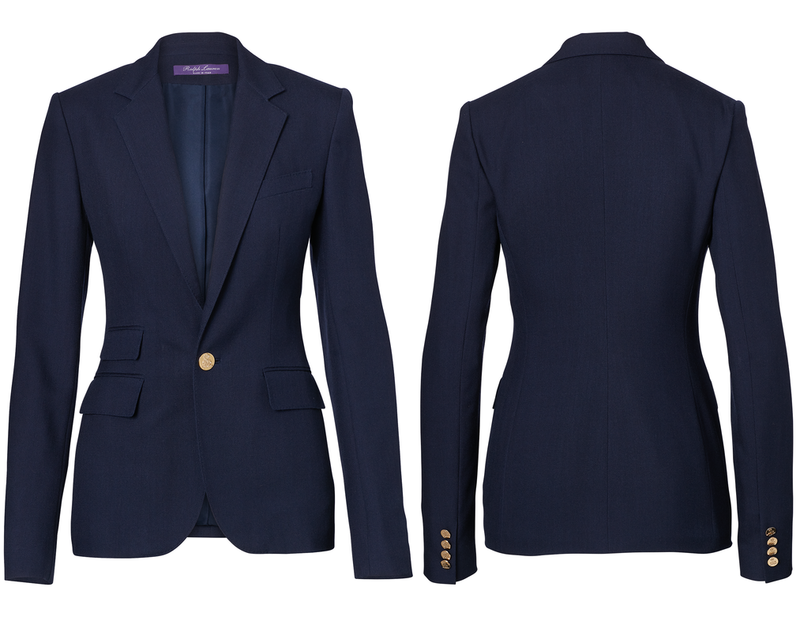 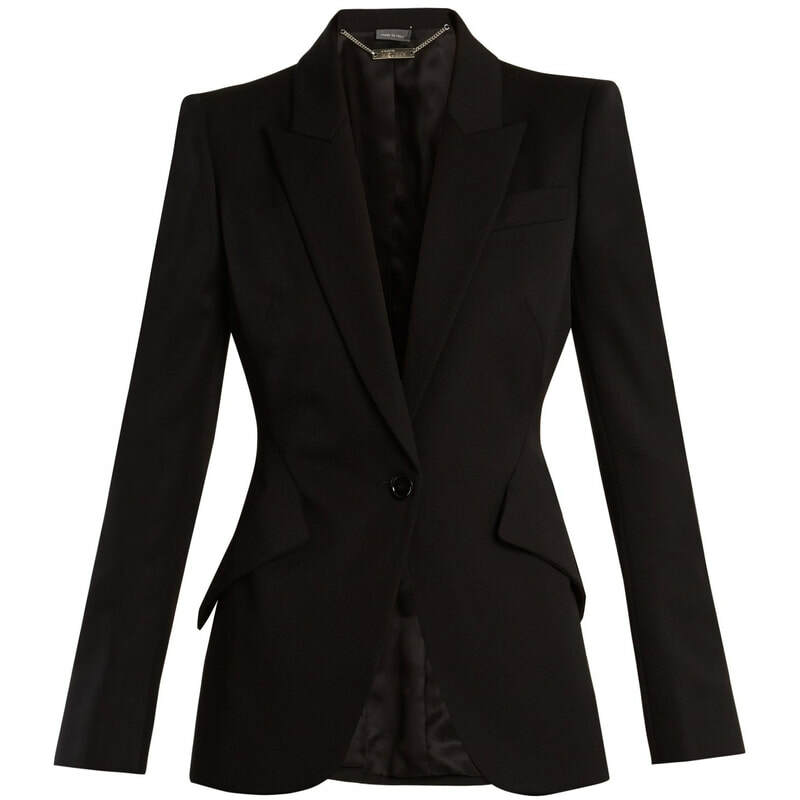 ​JACKET: Alexander McQueen Grain de Poudre Wool Blazer (repeat). 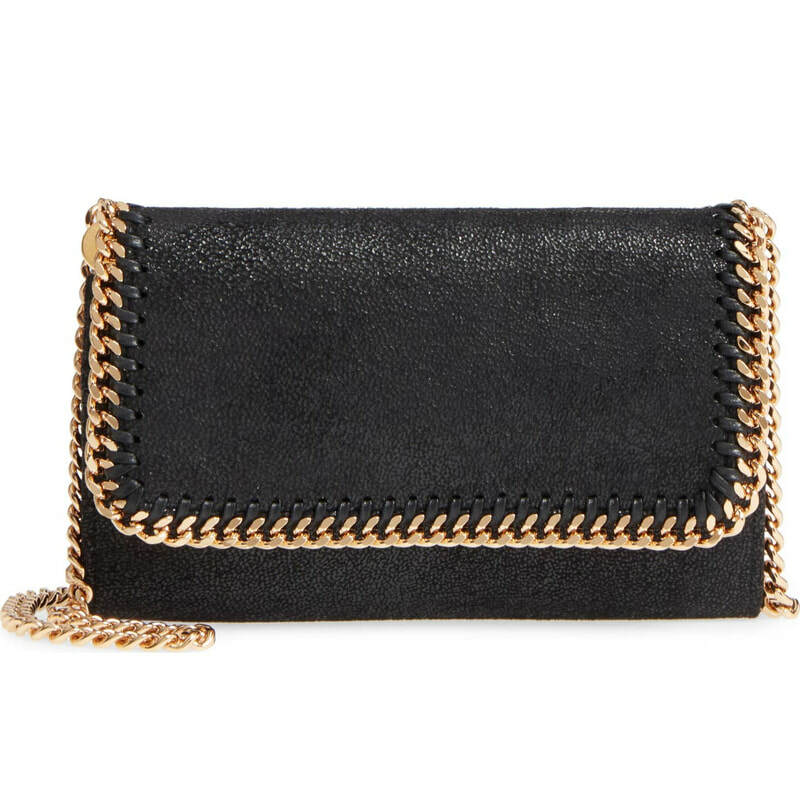 BAG: Stella McCartney Black Shaggy Deer Faux Leather Crossbody Bag (repeat). 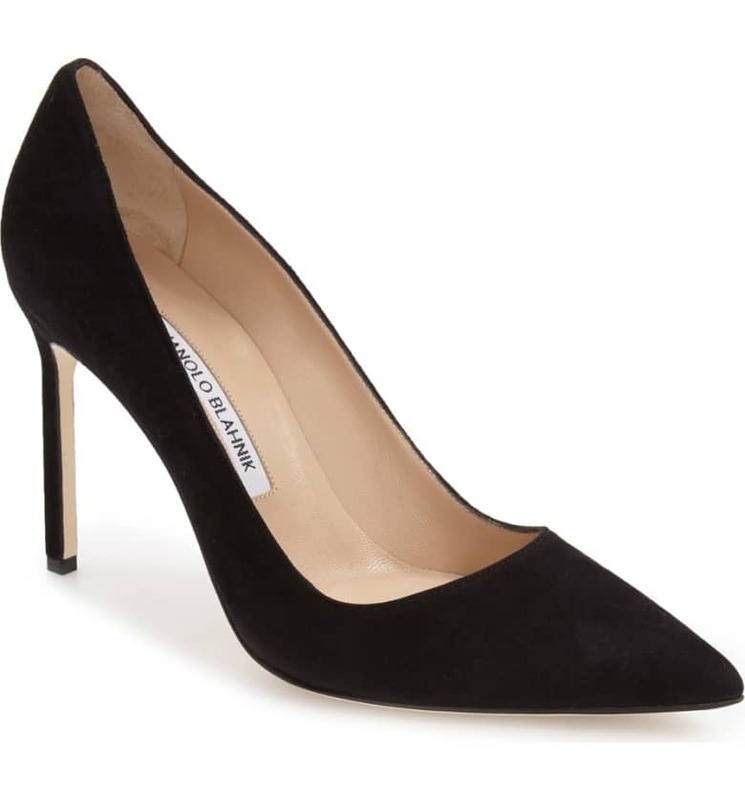 SHOES: Manolo Blahnik BB Pointy Toe Pump in Black Suede (repeat). 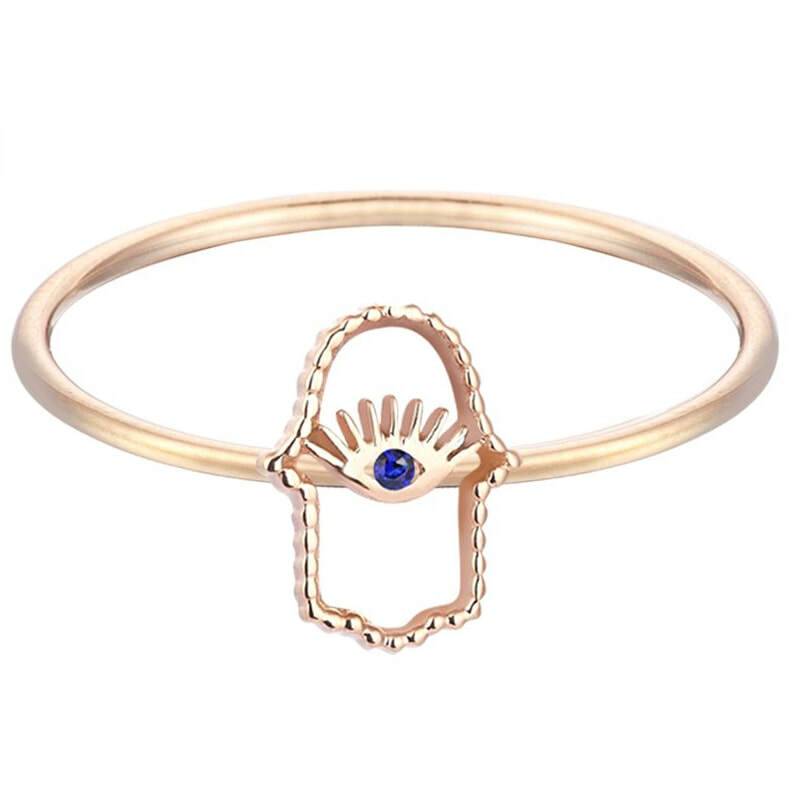 RINGS: Catbird Threadbare Yellow Gold Ring (repeat), Kismet by Milka Hamsa Ring (repeat), and a new open heart gold ring. 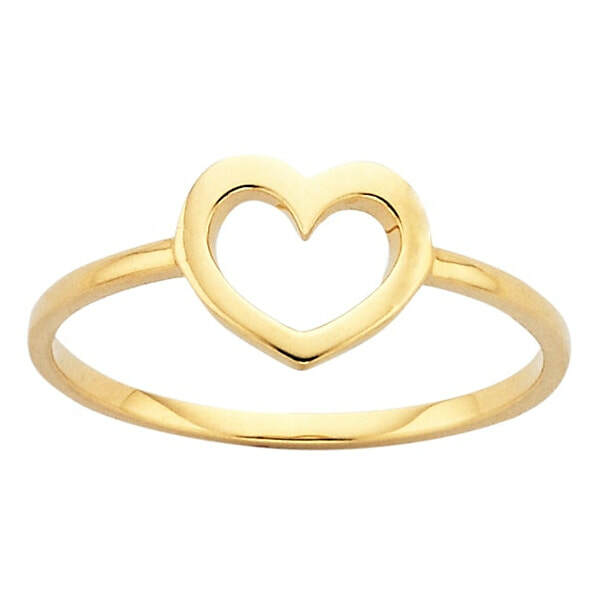 It is the Karen Walker Mini Heart Ring ($286 NZD). 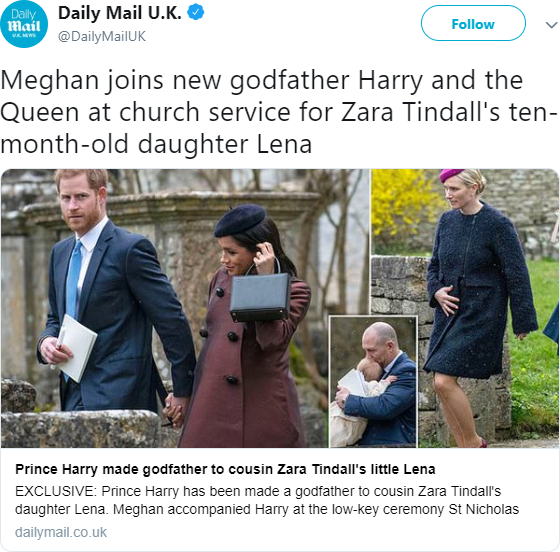 Thanks to Eliza for the ID! 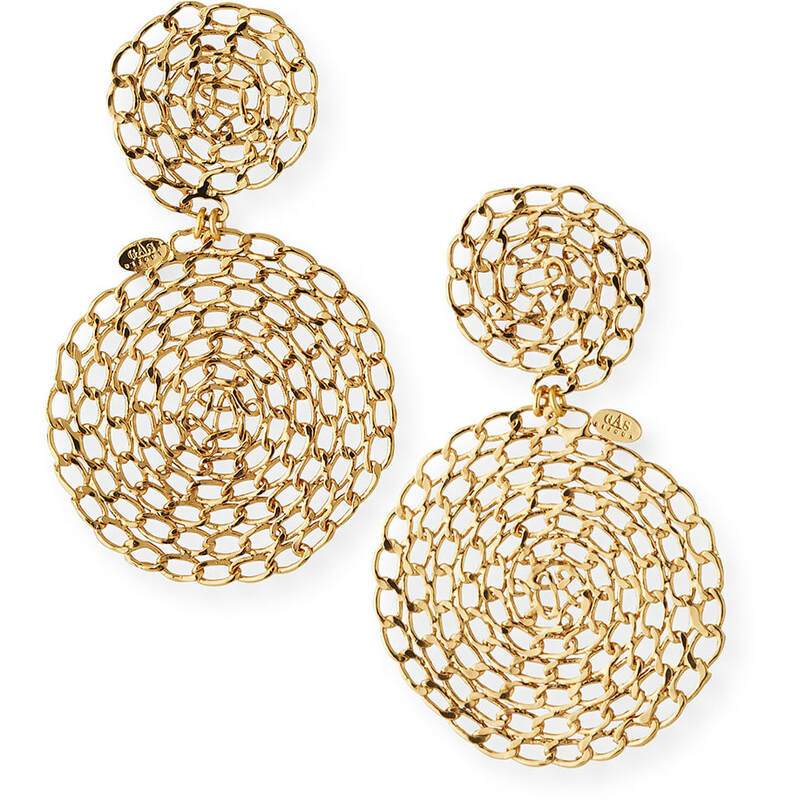 ​EARRINGS: Jessica McCormack Signature GYPSET Hoop Earrings 0.20ct (£2,700). 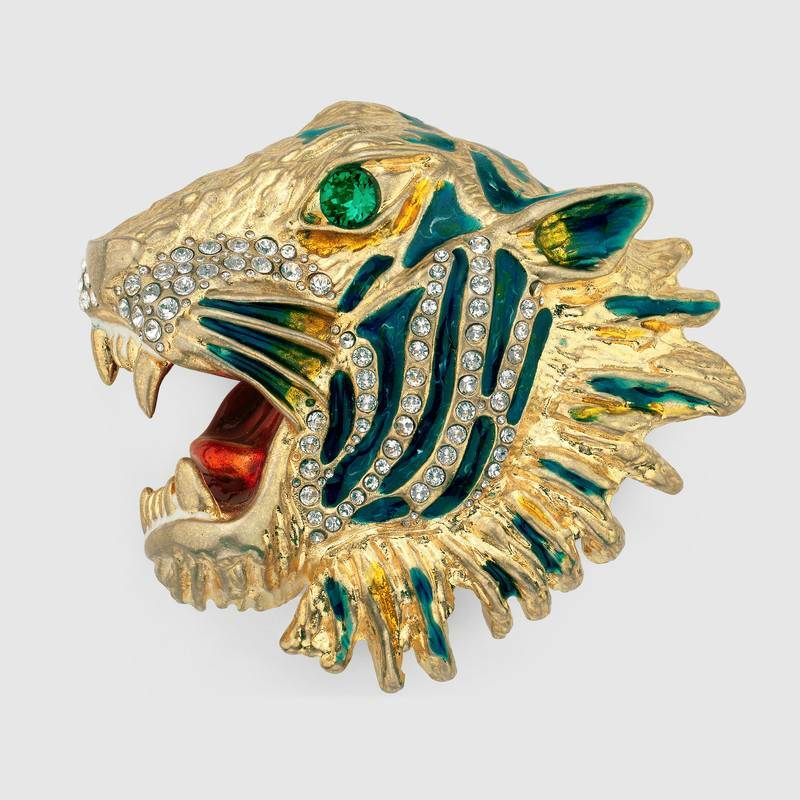 BROOCH: Queen's Commonwealth Trust brooch. 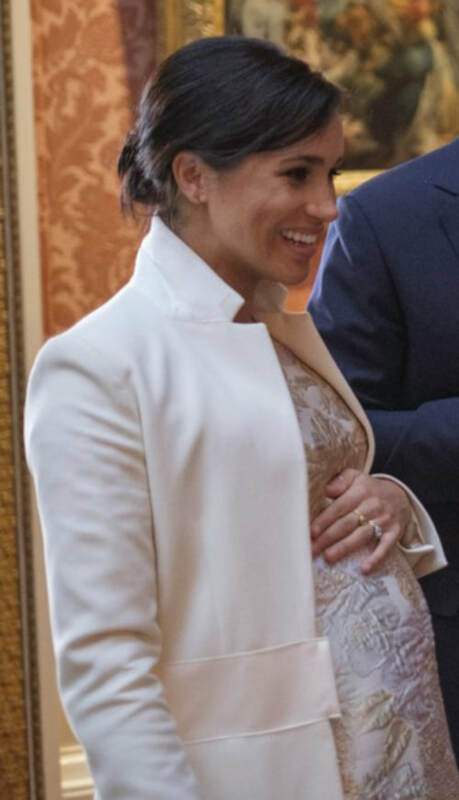 The Duchess of Sussex made a surprise appearance alongside her husband this morning where Prince Harry spoke at WE Day UK in London. 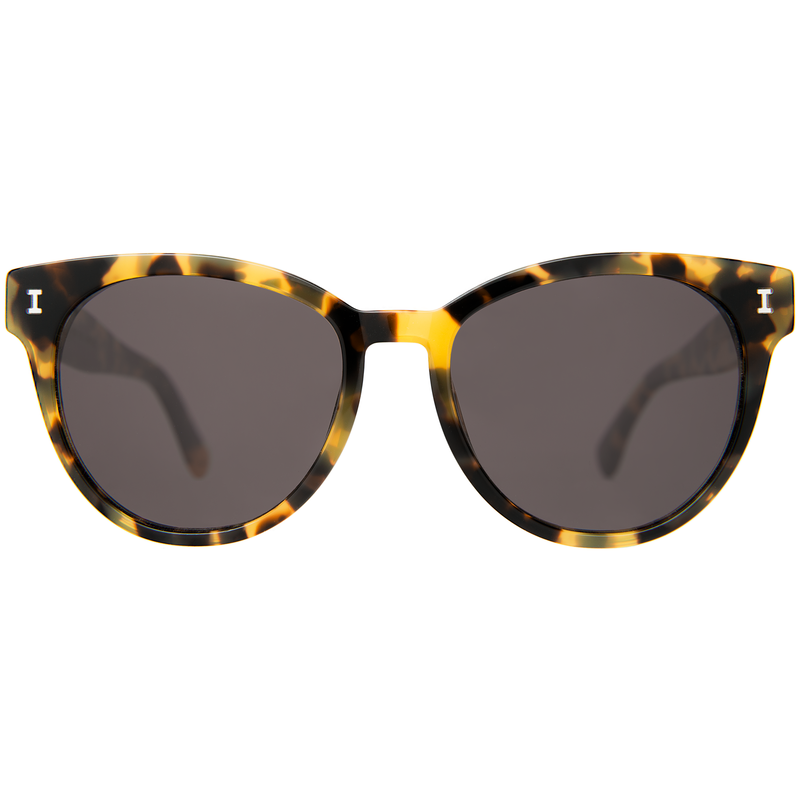 The WE Movement is a global initiative to encourage young people to take part in positive social change. 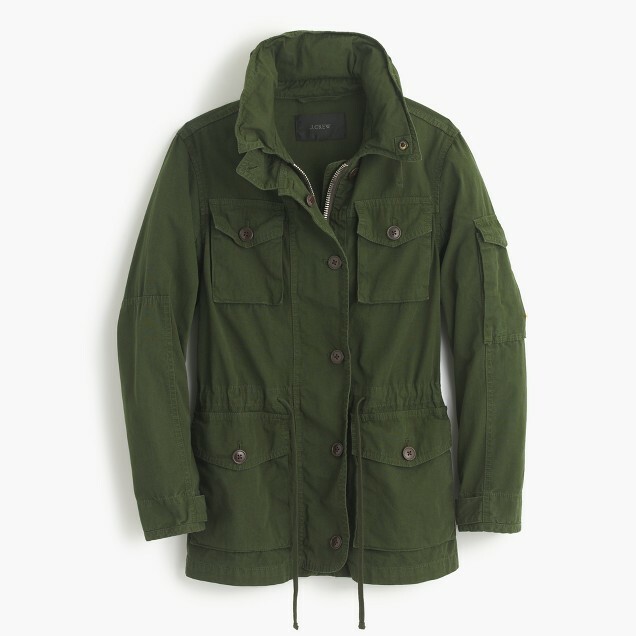 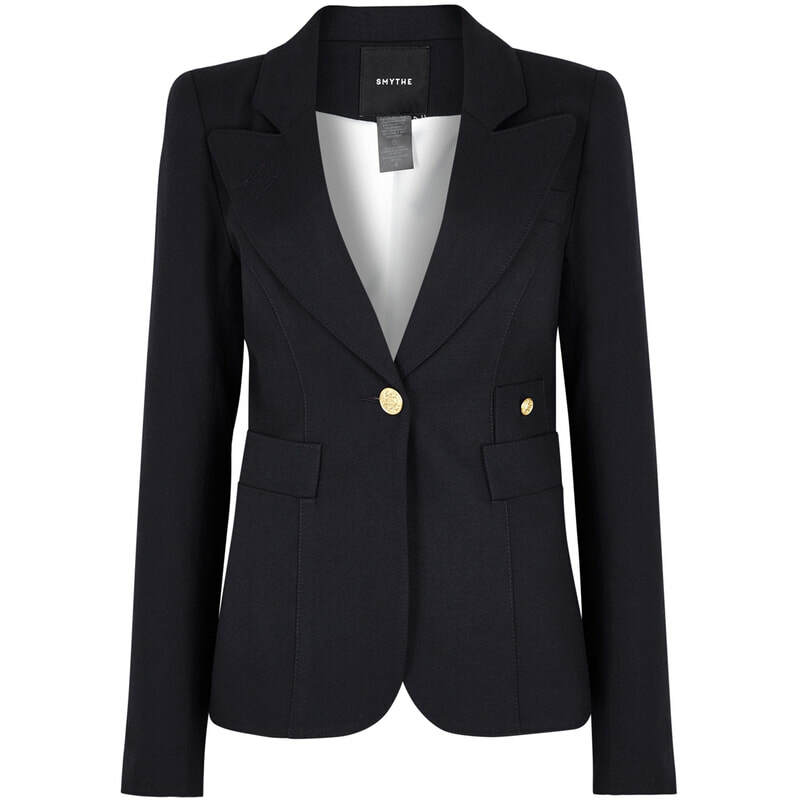 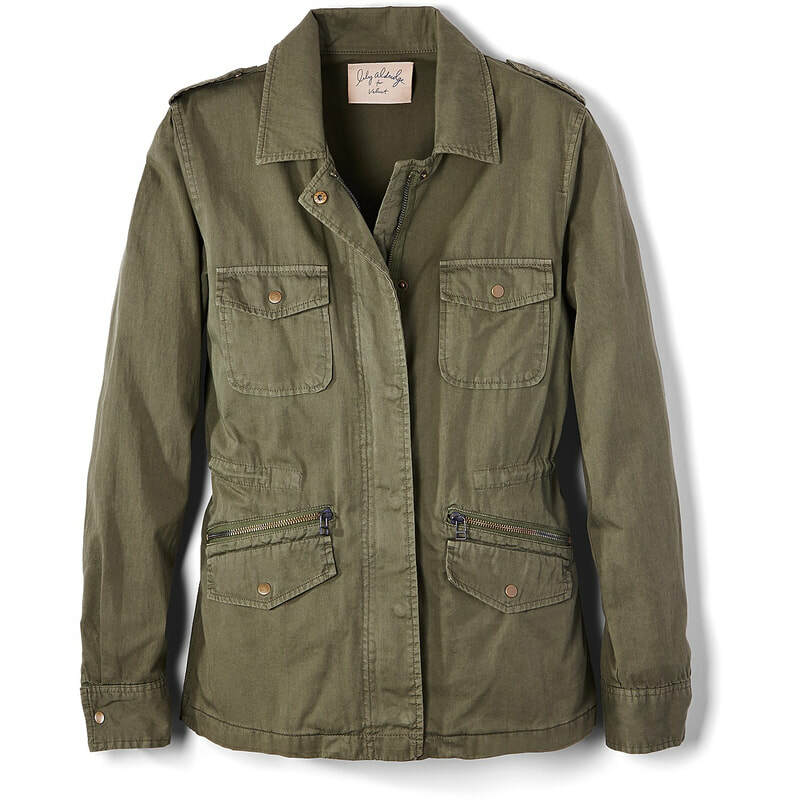 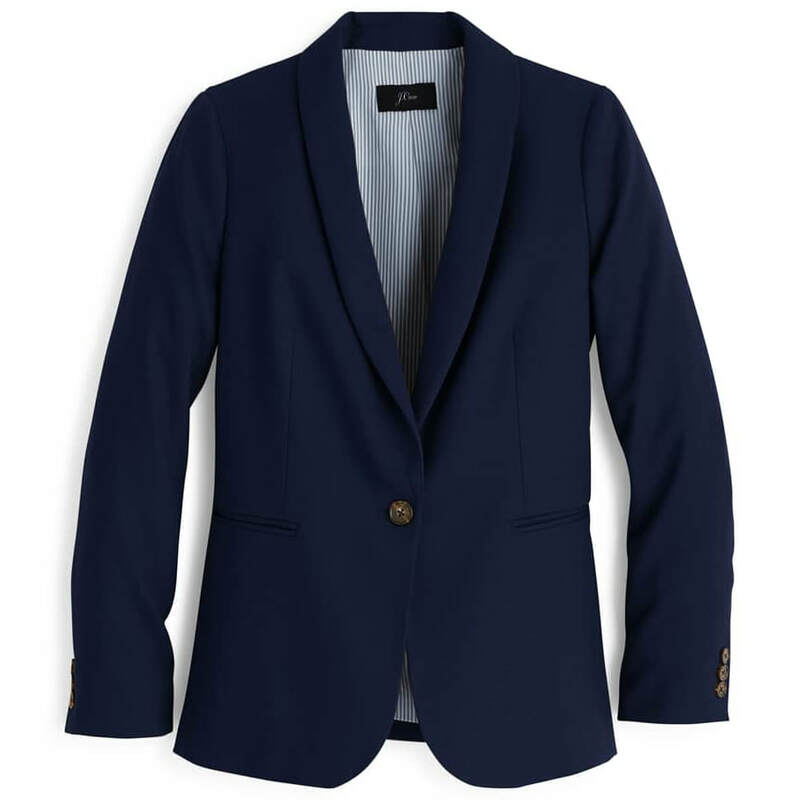 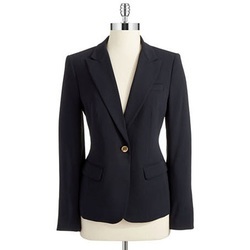 JACKET: Ralph Lauren Parker Cashmere Jacket (US$2,999). 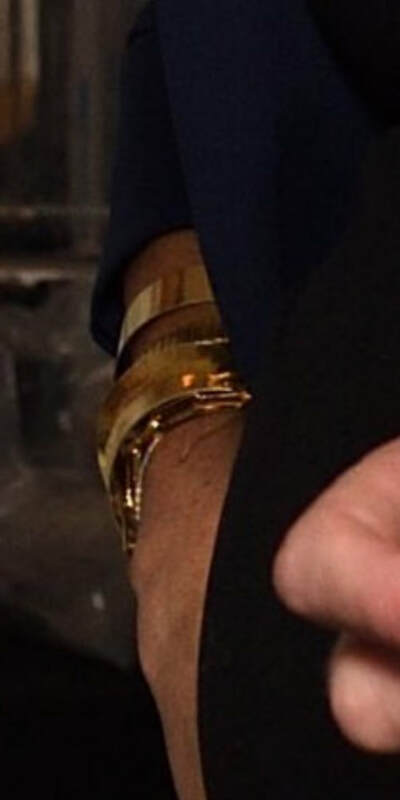 ID by @Solidmoonlight. 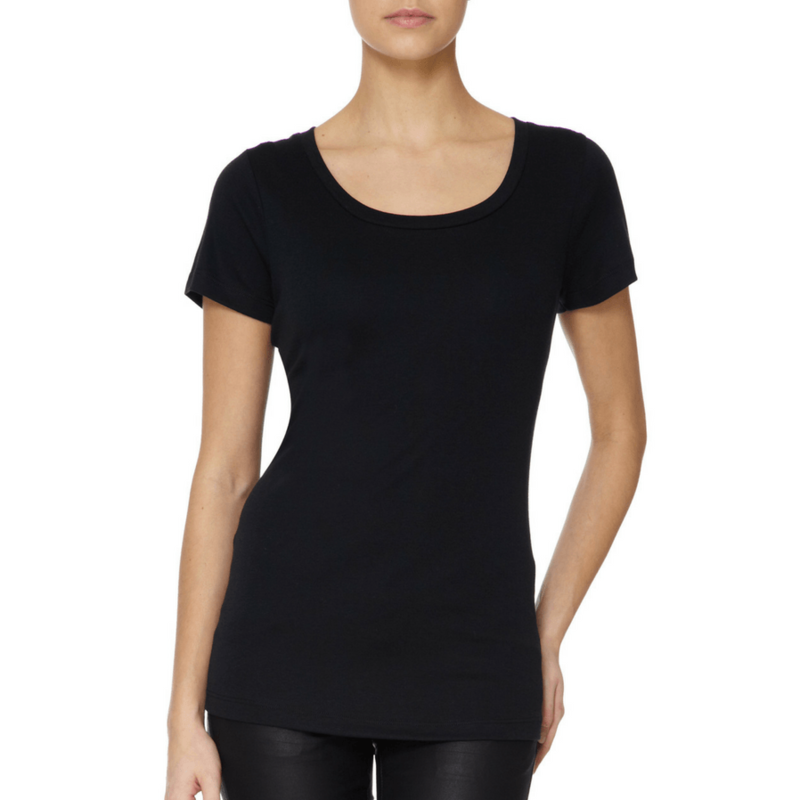 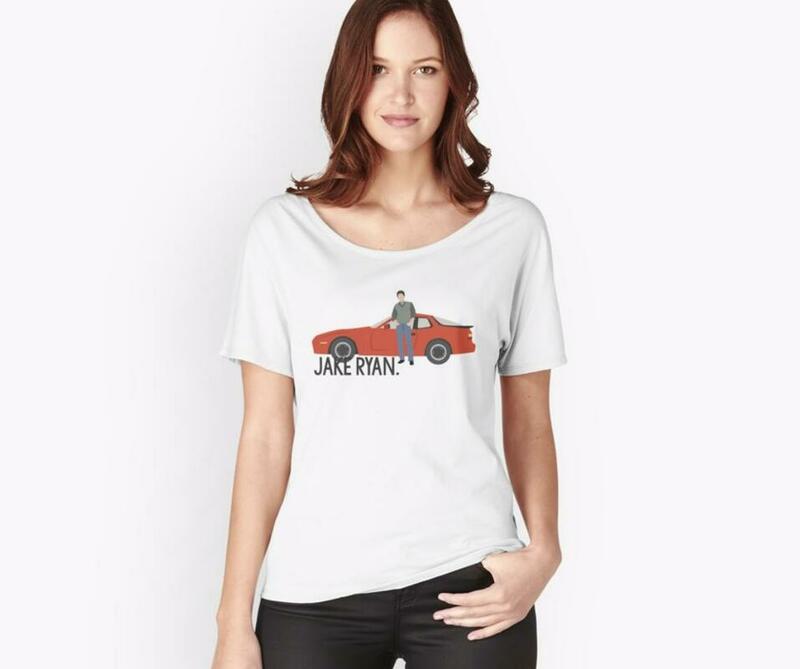 TOP: Possibly the Lavender Hill Clothing Black Scoop Neck T-Shirt (repeat). 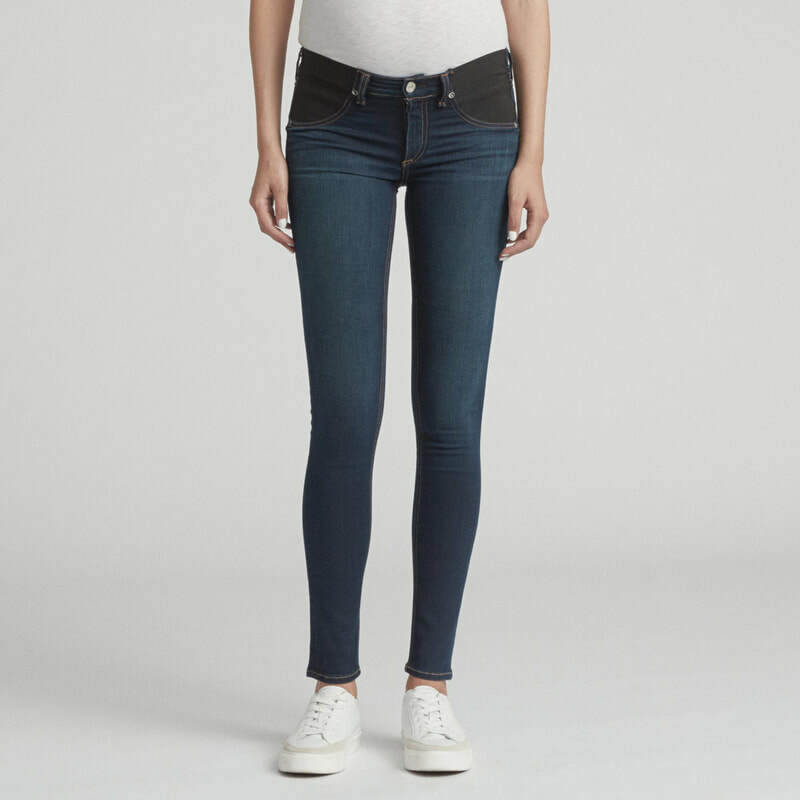 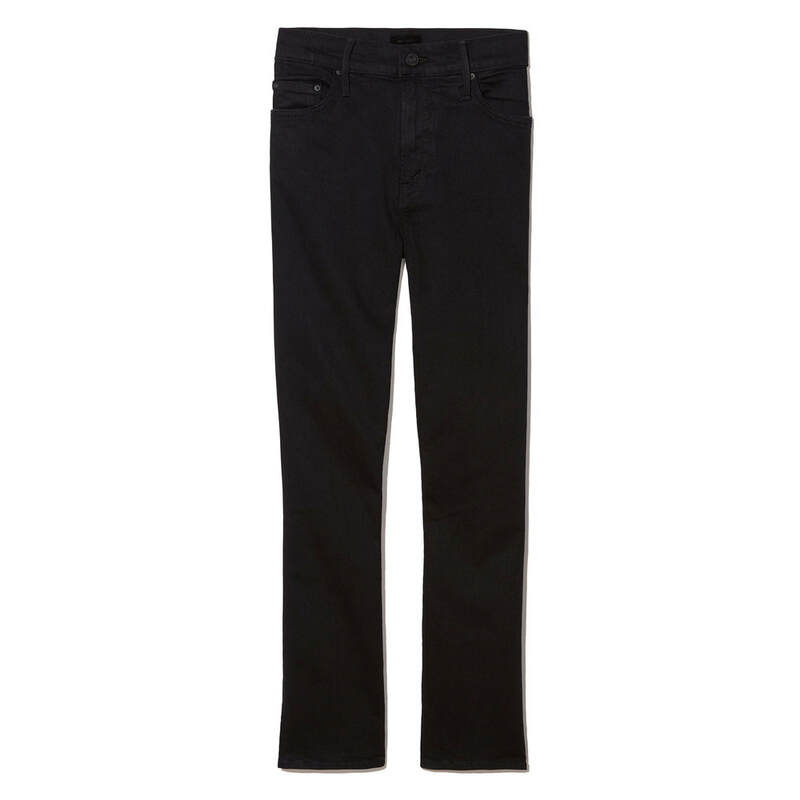 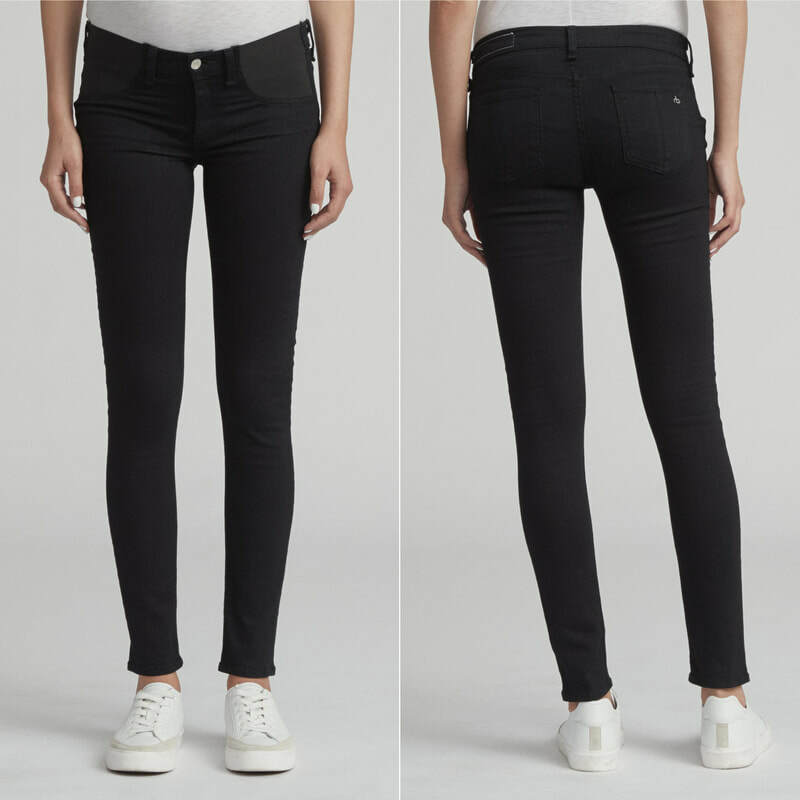 JEANS: Possibly the ​Rag & Bone Black Maternity Skinny Jeans (repeat). 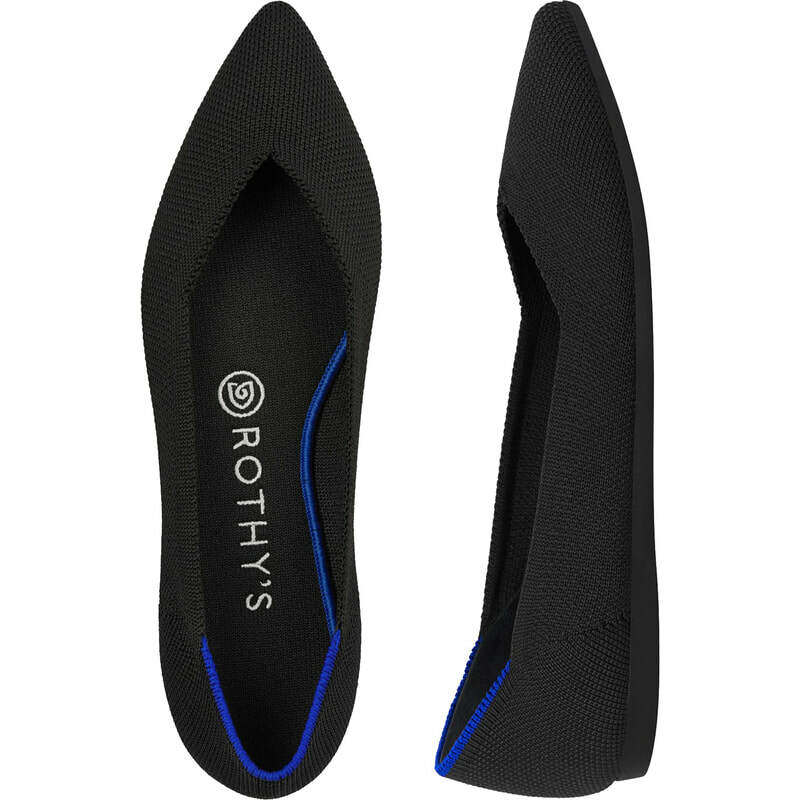 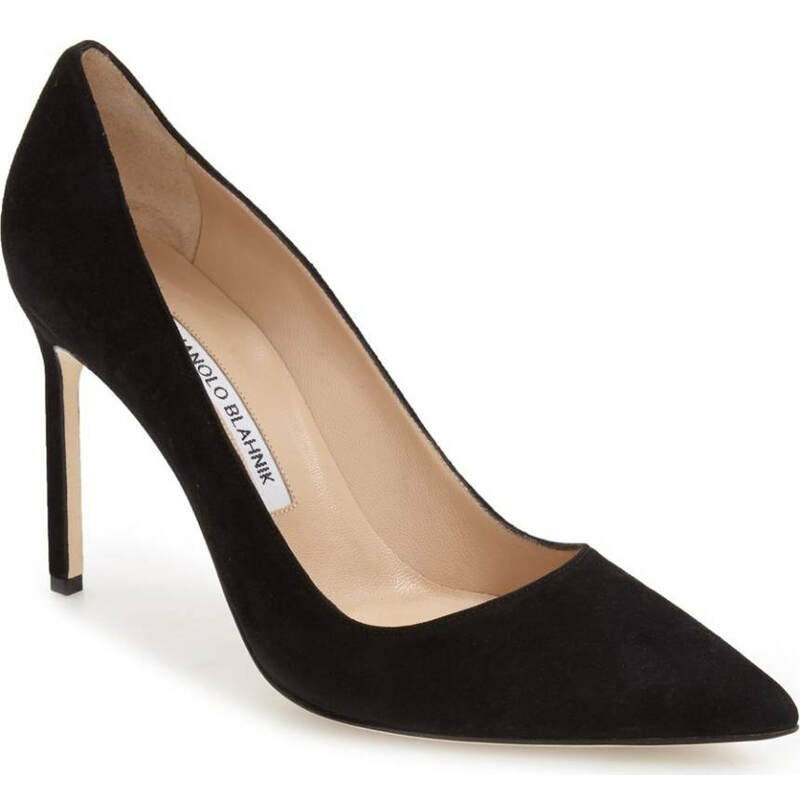 SHOES: ​Manolo Blahnik 'BB' Pointy Toe Pump in Black Suede (repeat). 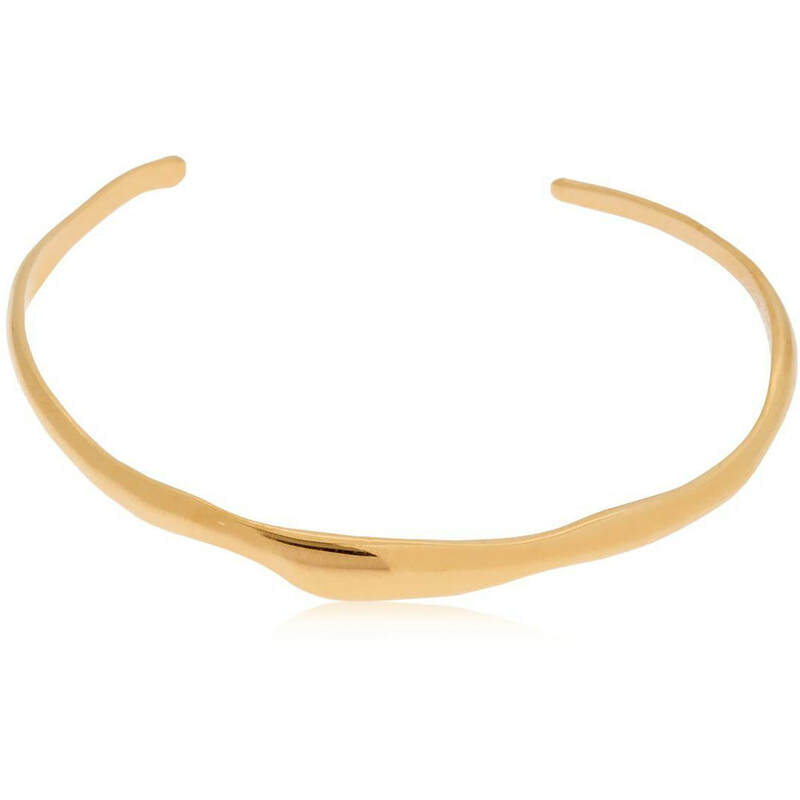 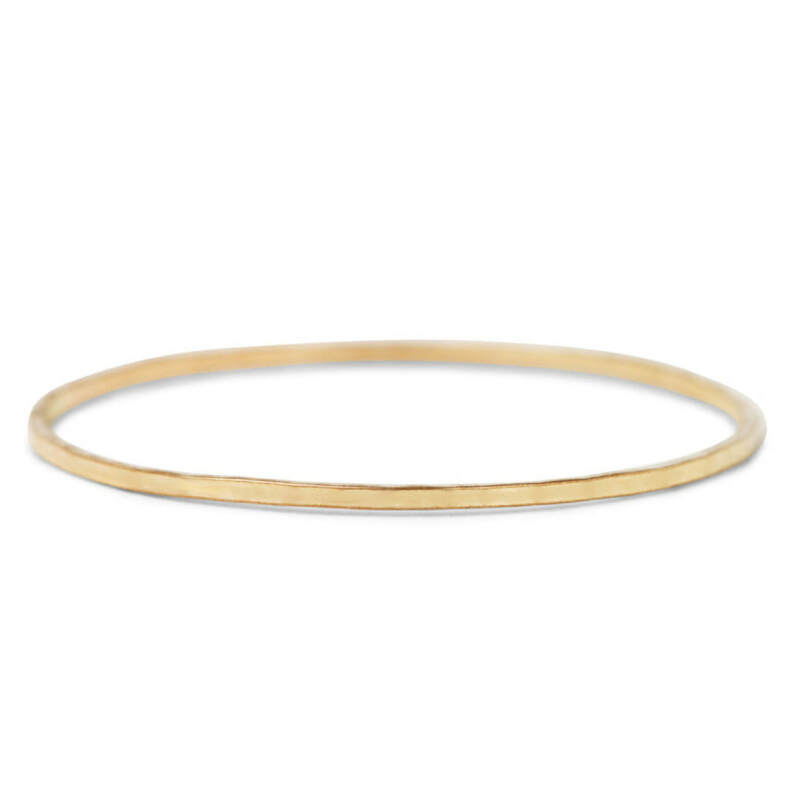 BRACELETS: Meghan wore a stack of bracelets on her right arm, some which we recognise are her Pippa Small bangles. 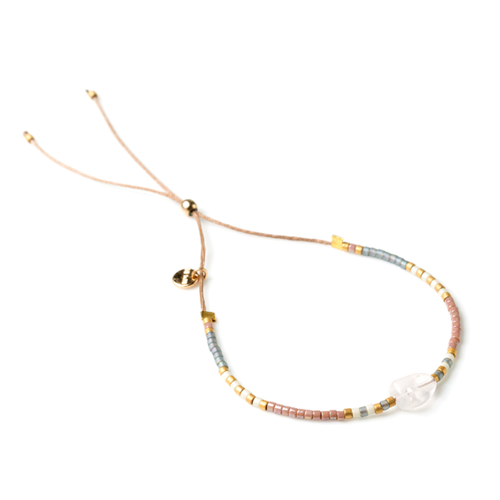 ME to WE Semiprecious Tamaa Bracelet – Rose Quartz (US$28). 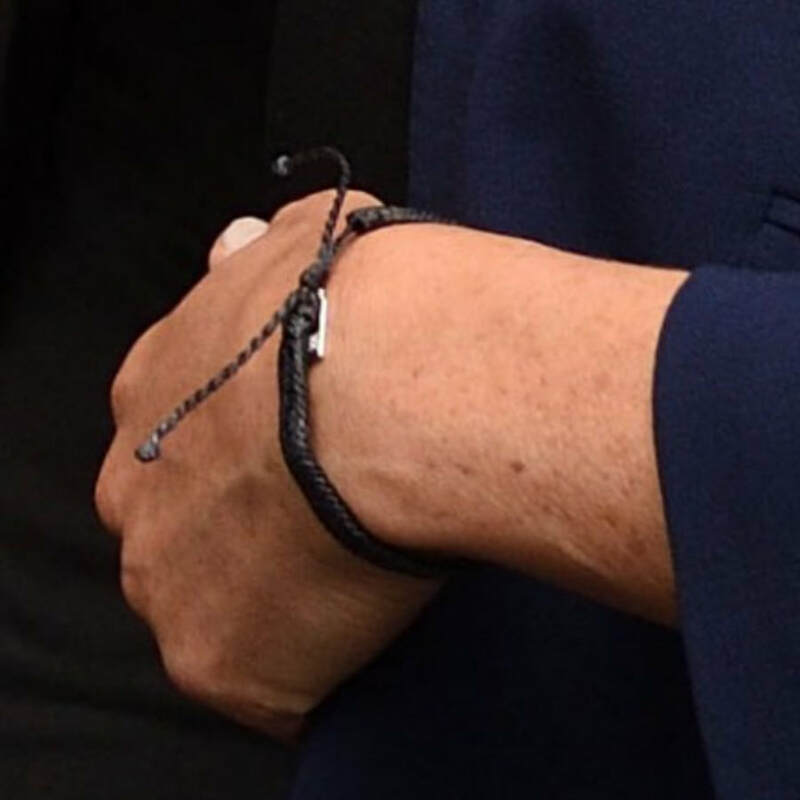 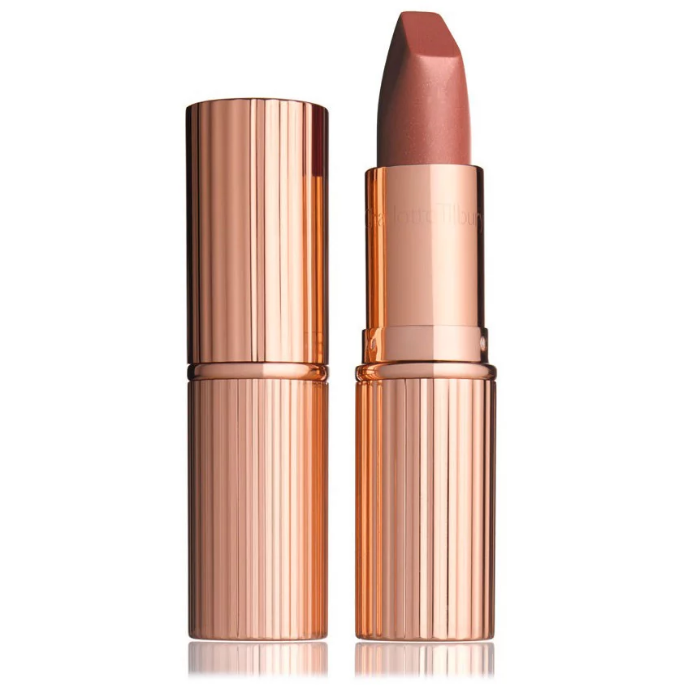 On her left arm, Meghan wore a ME to WE Amazon Minga 'Education' Bracelet (US$20). 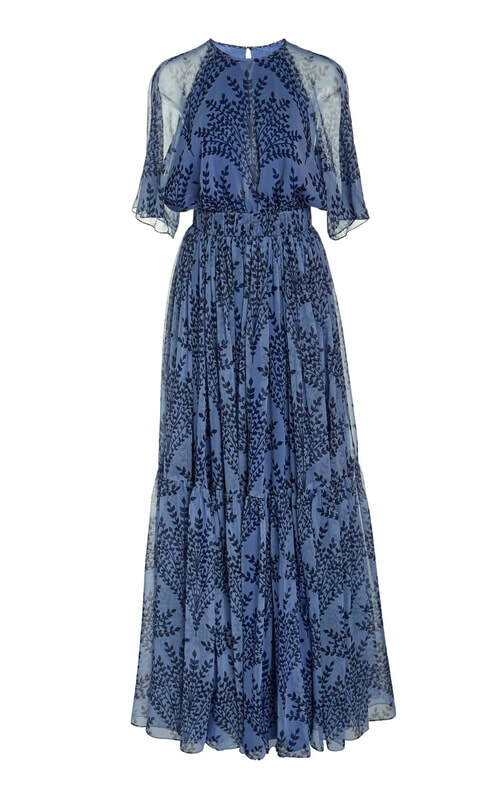 ID by @WhatMegWore. 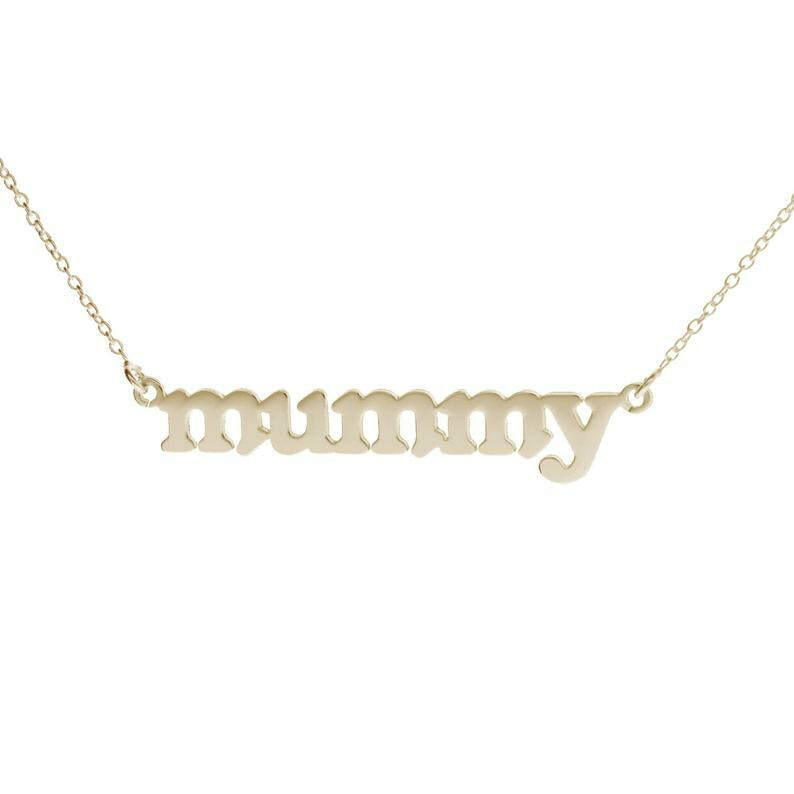 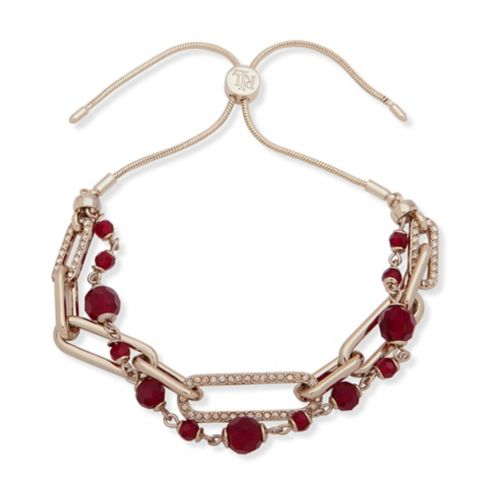 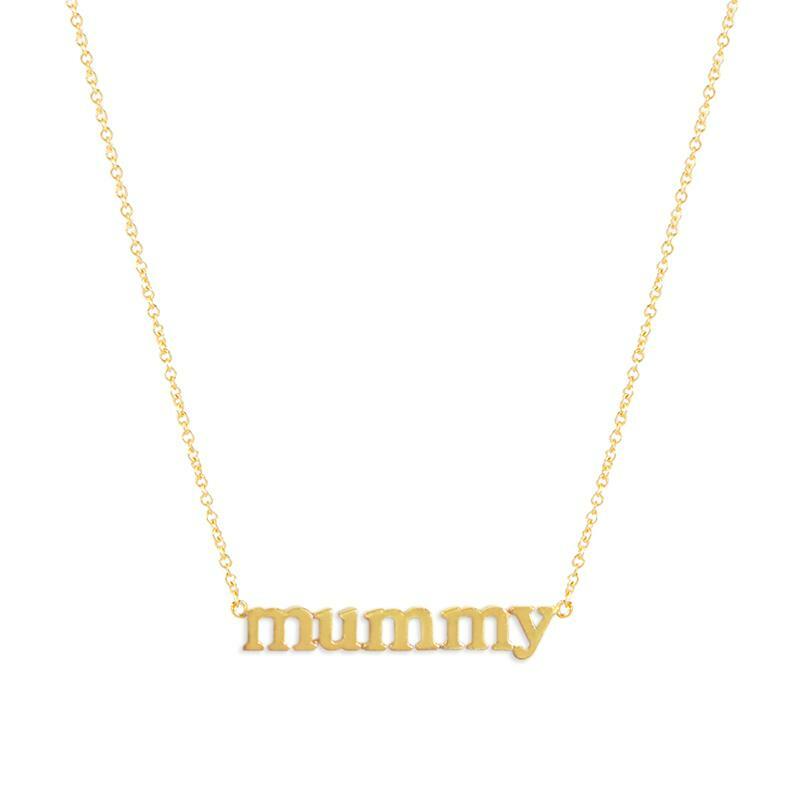 NECKLACE: Jennifer Meyer 'Mummy' Necklace (repeat). 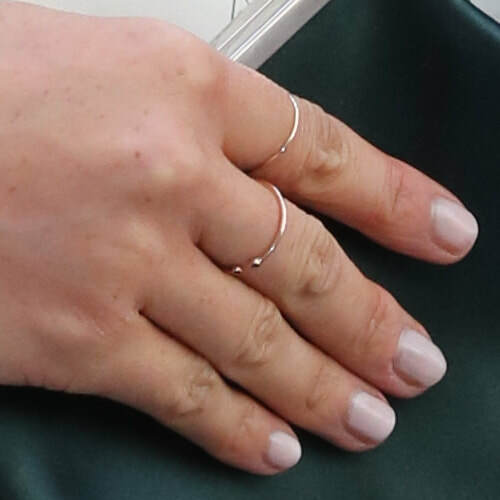 RINGS: In addition to her trilogy diamond engagement ring and wedding band, Meghan also wore her stackable Catbird 'Threadbare' Yellow Gold Ring on her left thumb, and on her right hand she wore the Pippa Small Herkimer Diamond Cup Ring and Pippa Small Herkimer Diamond Greek Ring. 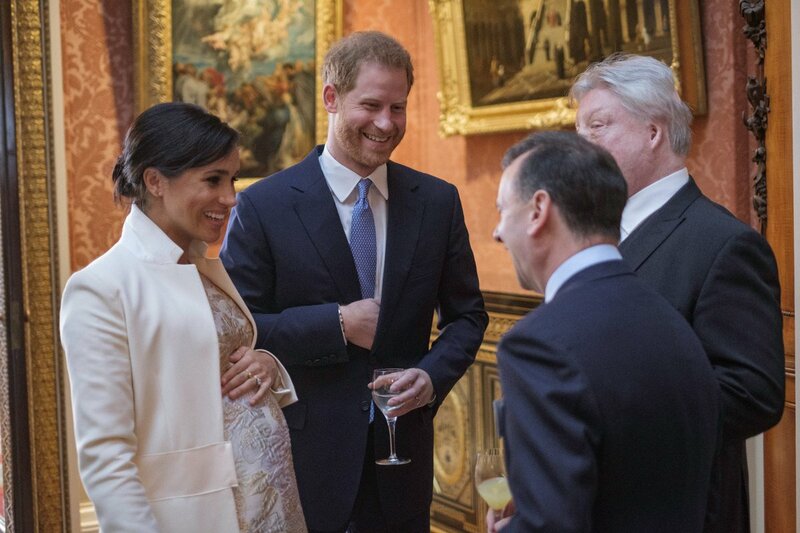 The Duke and Duchess of Sussex attended a reception at Buckingham Palace with other members of the royal family to mark the fiftieth anniversary of the investiture of the Prince of Wales. 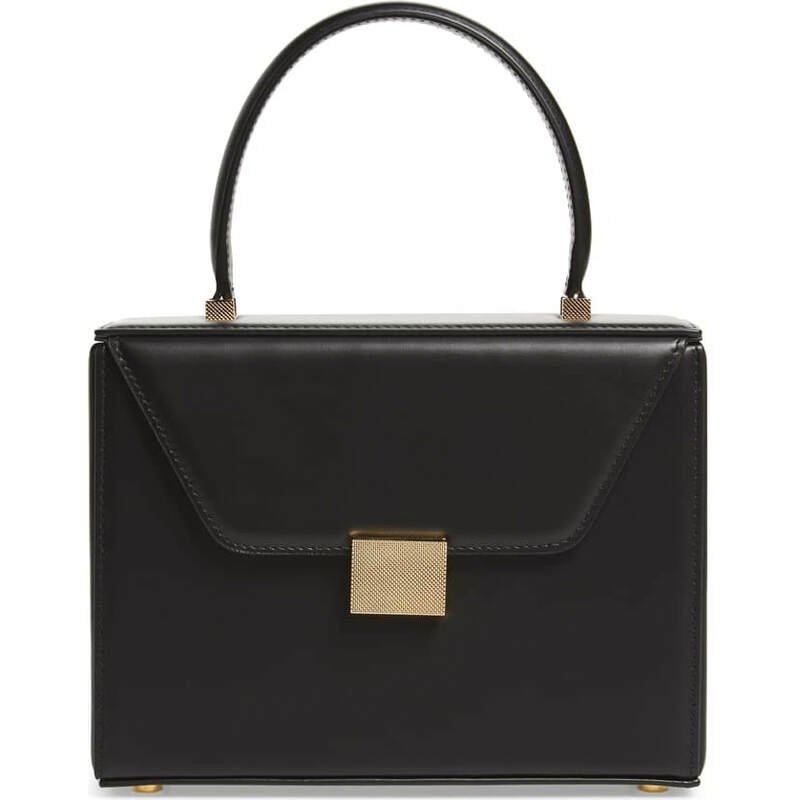 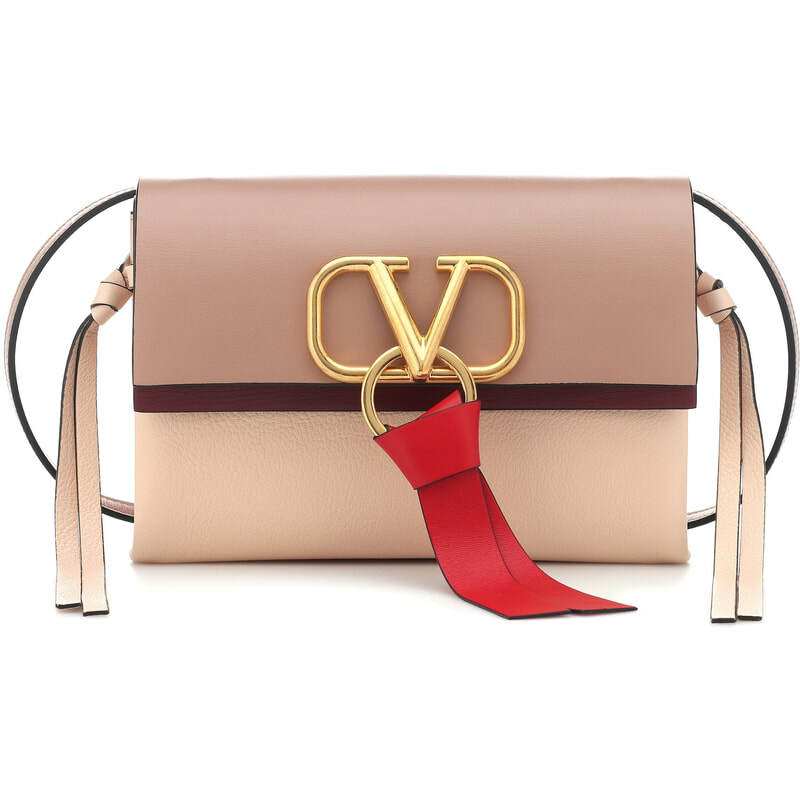 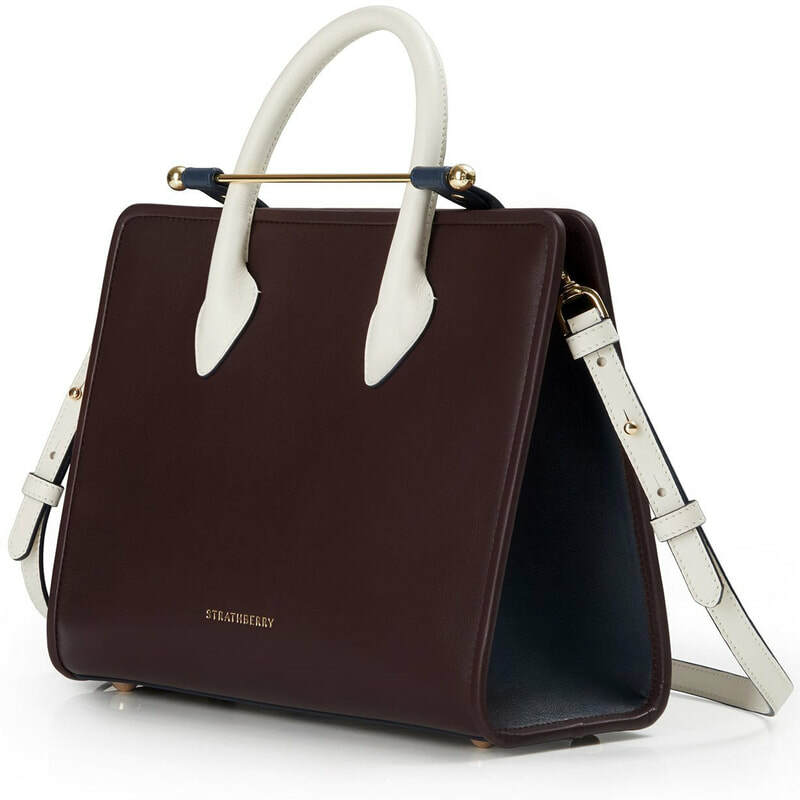 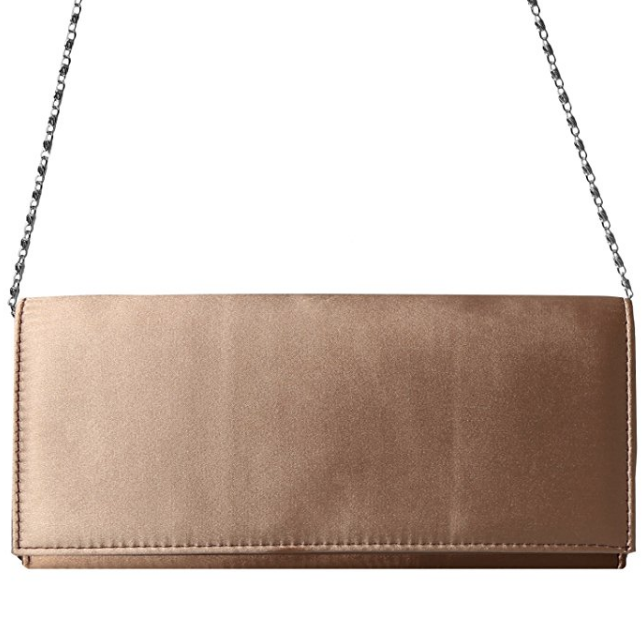 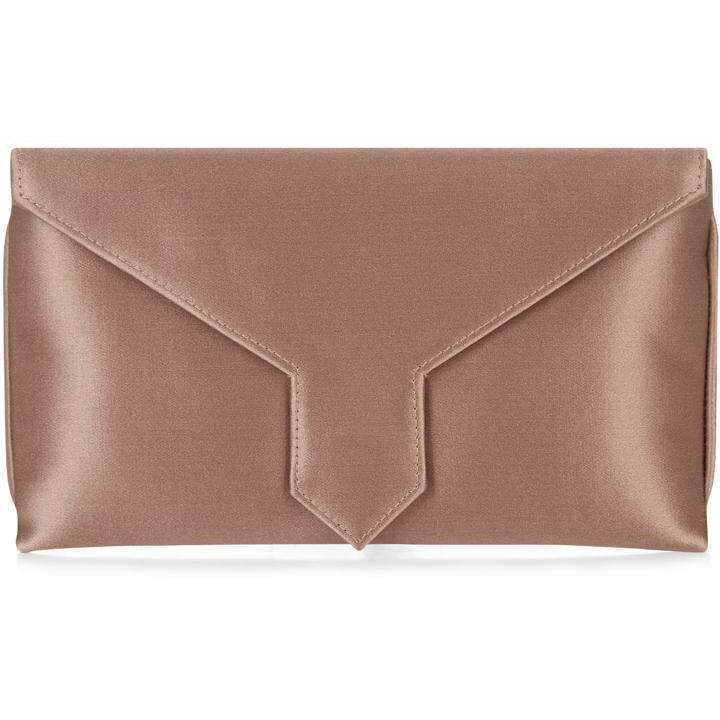 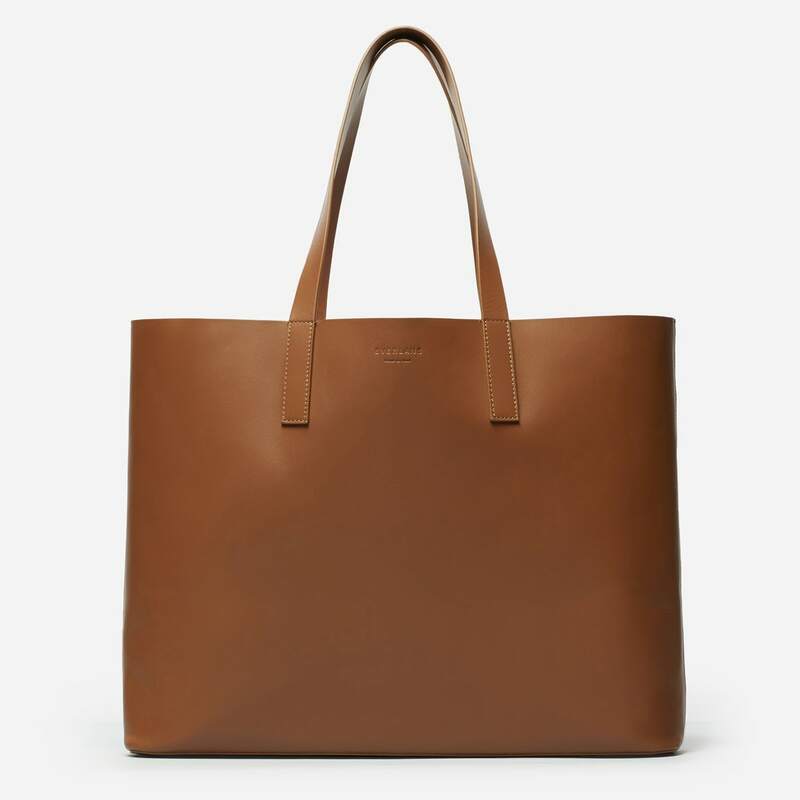 HANDBAG: Wilbur and Gussie Bespoke Charlie Oyster Silk Clutch (repeat). 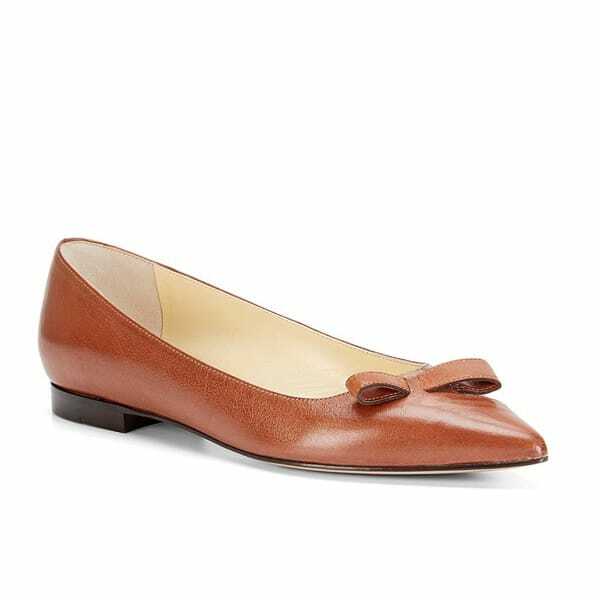 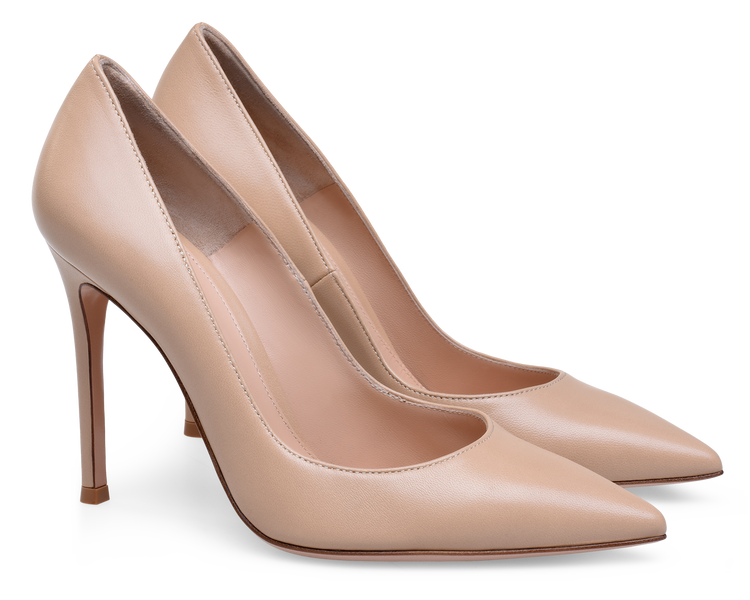 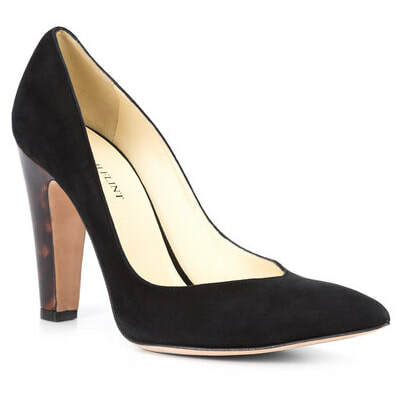 SHOES: Paul Andrew Pump-It Up Tan Suede Pumps (repeat). 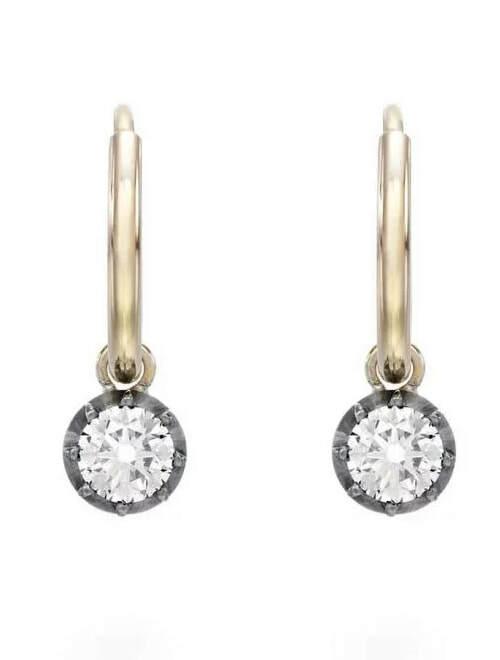 EARRINGS: Birks Gold Bar Earrings (repeat). 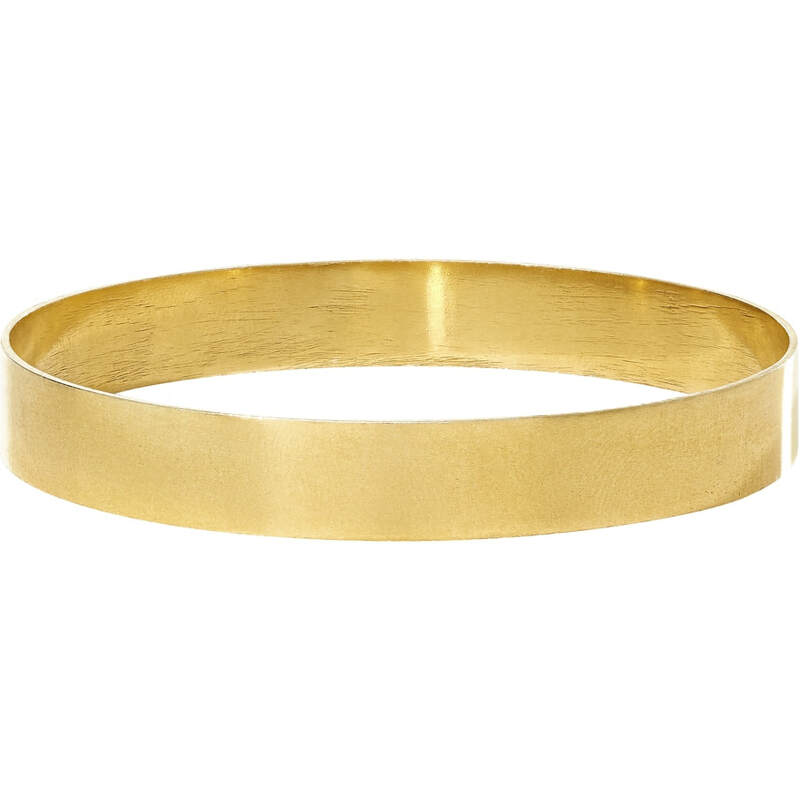 BRACELET: Pippa Small 'Wajiha' Bangle (repeat). 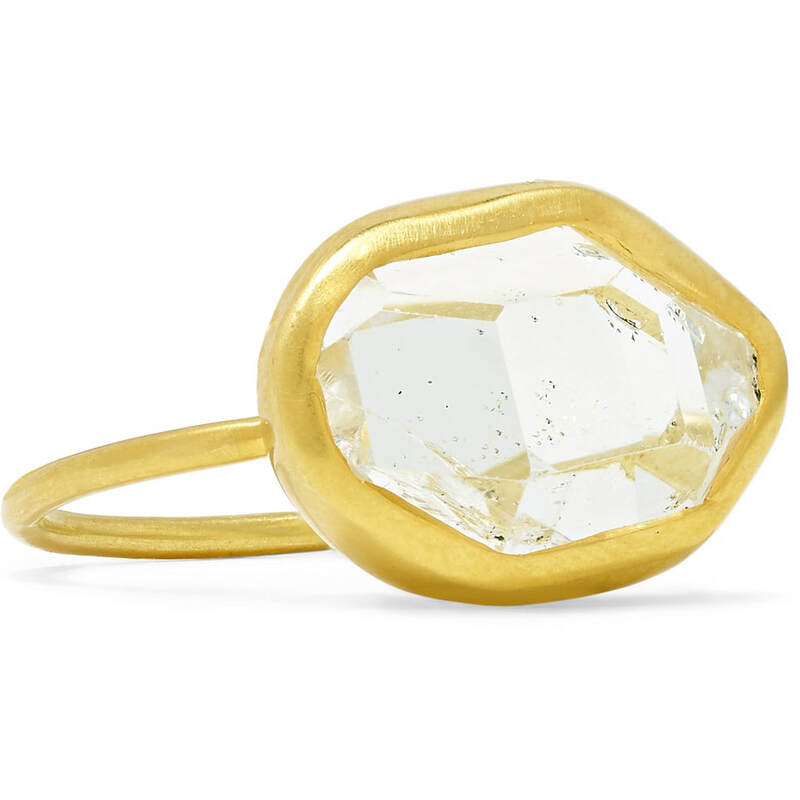 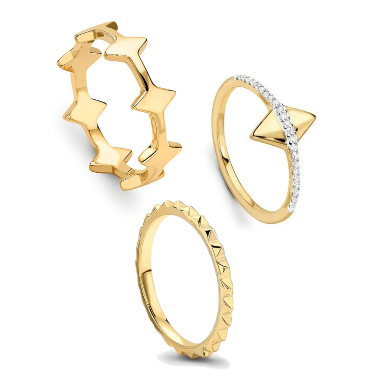 ​RINGS: In addition to her trilogy diamond engagement ring and wedding band, Meghan also wore her stackable Catbird 'Threadbare' Yellow Gold Ring on her left thumb, and the Pippa Small Herkimer Diamond Cup Ring on her index finger.